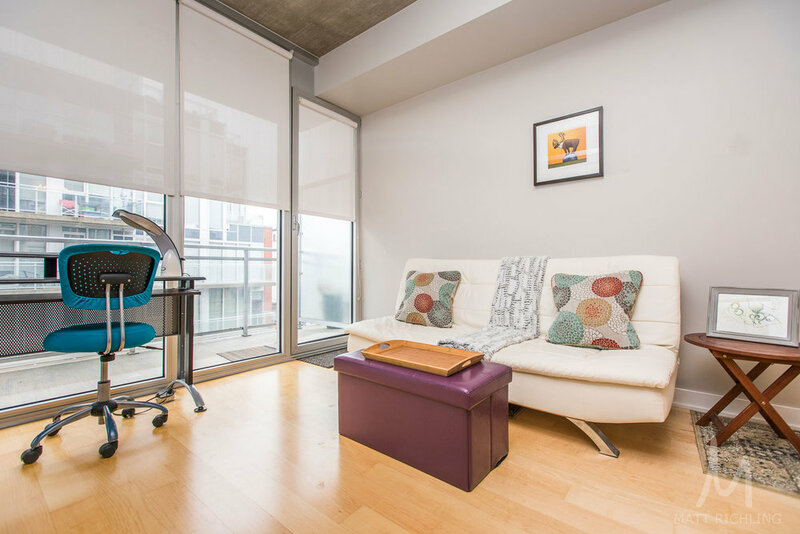 This warm and bright one bedroom lower penthouse is centrally located in the heart of the city! High quality finishes throughout include gorgeous hardwood floors, quartz countertops, upgraded cabinets, and stainless steel appliances. 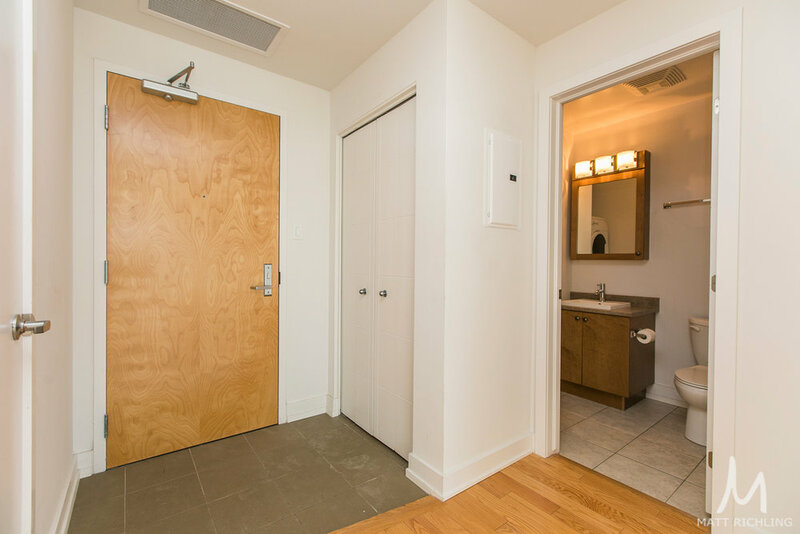 The master bedroom features double closets with direct access to the upgraded full bathroom. The modern industrial look and feel of the exposed ductwork, ten foot ceilings, and rolling barn doors are complemented by floor to ceiling windows that provide a bright and open space. 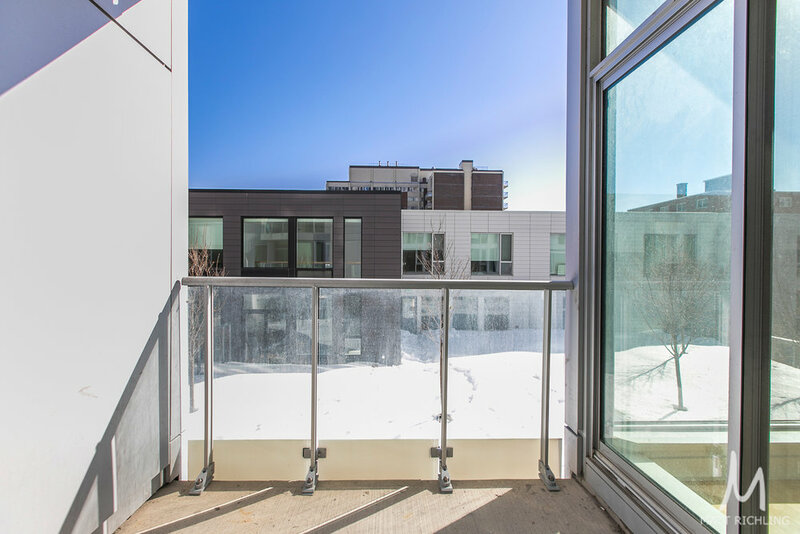 Step outside on your private terrace and enjoy the unobstructed south facing views. 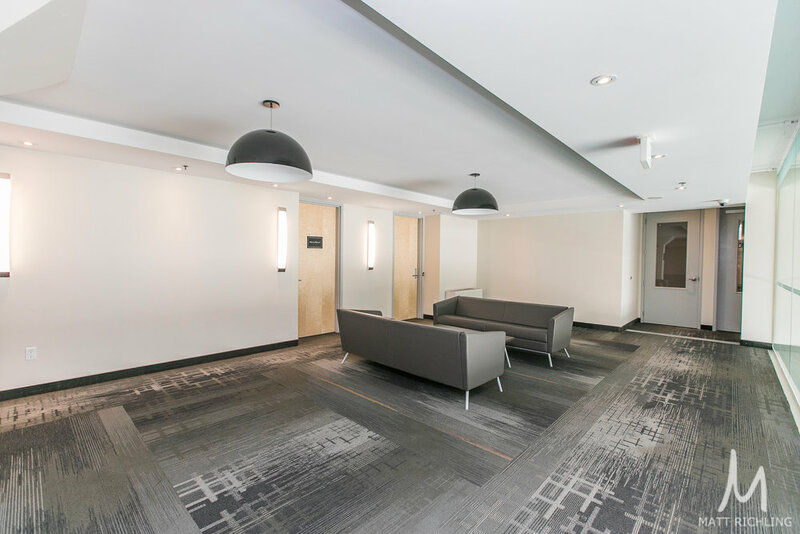 The well-appointed building includes a concierge, private theatre, two fully equipped exercise rooms, visitor parking, and two amenity rooms which are perfect for any event. Entertain inside or open the doors and step outside to enjoy one of the most desirable features. The resort-style outdoor space which includes the barbecue, bar, dining area, and lounge with the stone-clad fireplace. Take a dip or relax beside the Caribbean inspired outdoor heated salt-water swimming pool that is surrounded by the private cabanas. 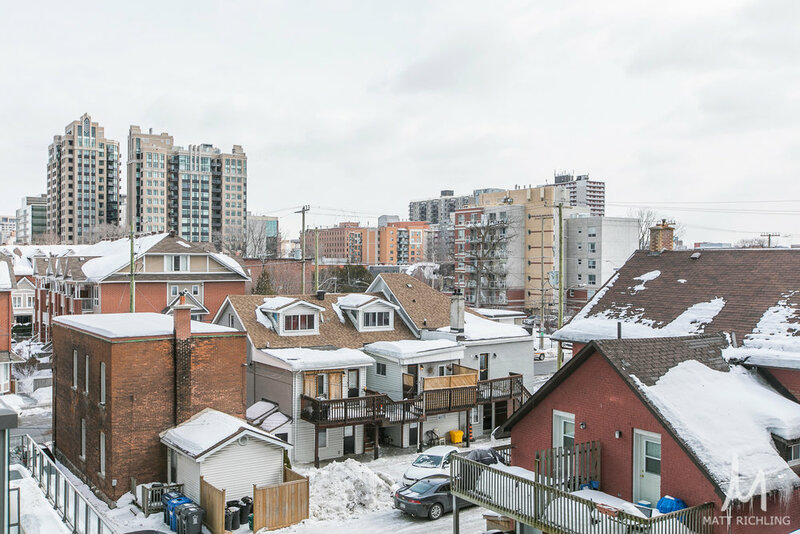 Located near the corner of Bank street and Mcleod, you are a short walk from Glebe, Elgin Street, Downtown, etc. 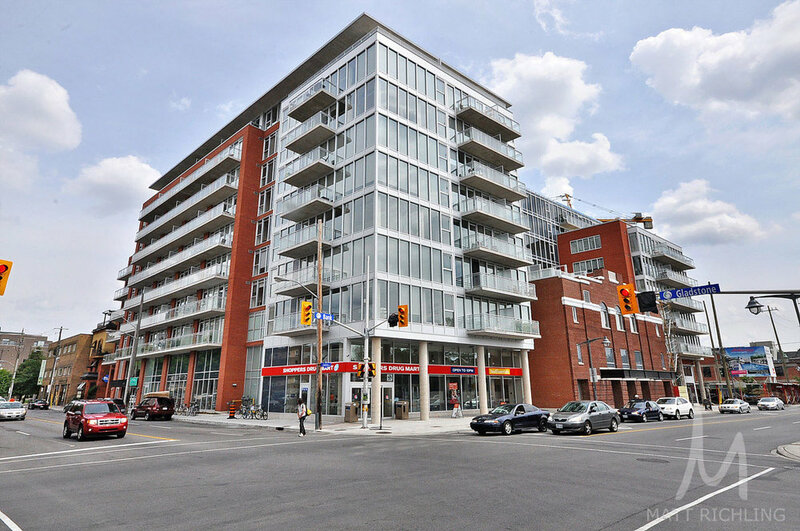 In and surrounding the building, you will find an LCBO, Starbucks, and Shoppers Drug Mart. The cities best restaurants, pubs, bars, cafes, and shopping boutiques are only steps away. Offered on the Multiple Listing Service for $399,900, including a heated underground parking spot and storage locker. A flexible closing date is available. For more information, or to schedule a private viewing, please contact Matt Richling (salesperson with RE/MAX Hallmark Realty Group Ltd,.) by clicking on the button or filling out the form below. First class living in the heart of the city. Large one bedroom condo with private balcony overlooking the common patio. Hardwood flooring, floor to ceiling windows, open concept kitchen with stainless steel appliances and island, and spacious living/dining room. The building amenities are some of the best in the city, featuring a full indoor salt water pool, fitness room, private lounge, multimedia room, full board room plus four smaller meeting rooms, two guest suites, concierge/security, visitor parking, and the nearly 4500sqft of landscaped terraces on the south side. Even your groceries are just a short elevator ride away with Sobey’s in the ground floor of the building. 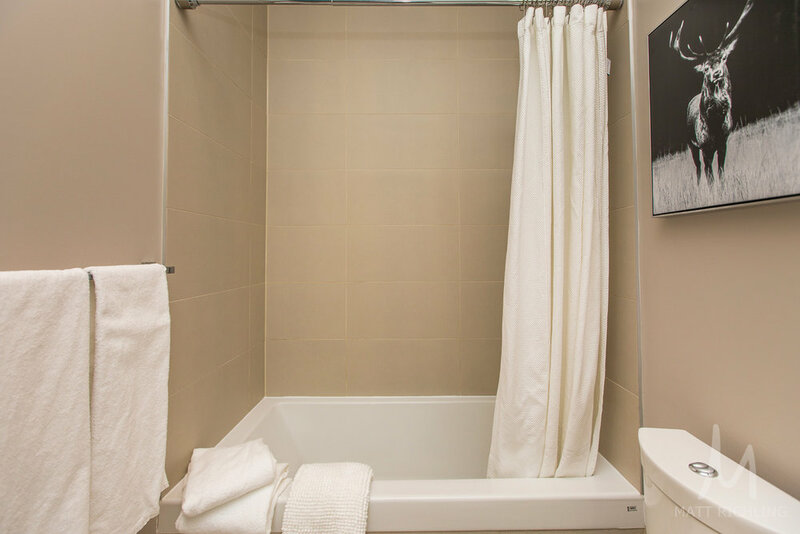 Located in the heart of downtown Ottawa, just steps from Parliament Hill, Nordstrom, Rideau Centre, City Hall, Supreme Court, US Embassy, The Rideau Canal, LRT Station, etc. Listed on the Multiple Listing Service for $379,500, including underground heated parking and storage locker. A flexible closing date is available. 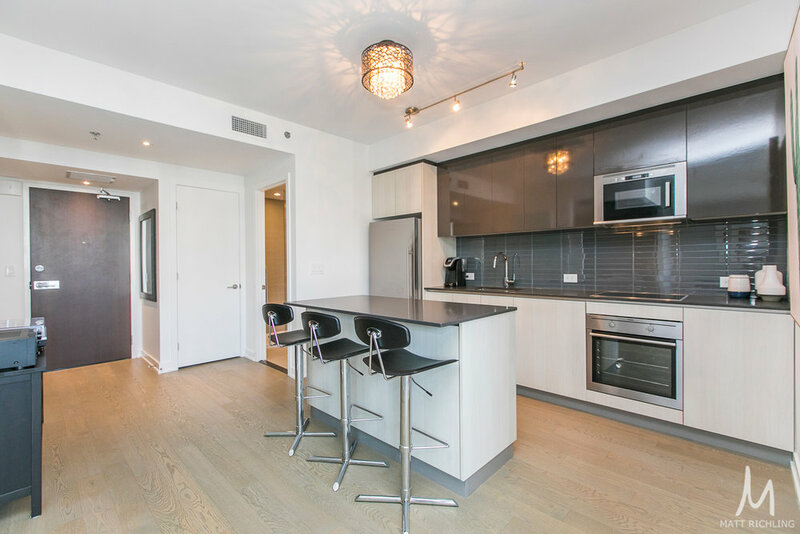 Brand new - never lived in - one bedroom condo on the 18th floor with unobstructed west facing views. 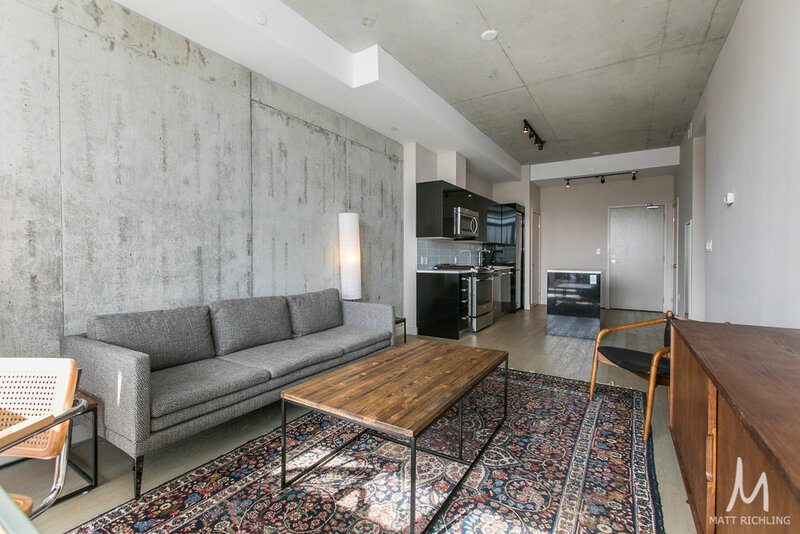 Features exposed concrete ceilings, floor to ceiling windows, exposed concrete walls, pre-finished engineered wood floors, large balcony with gas bbq hookup. 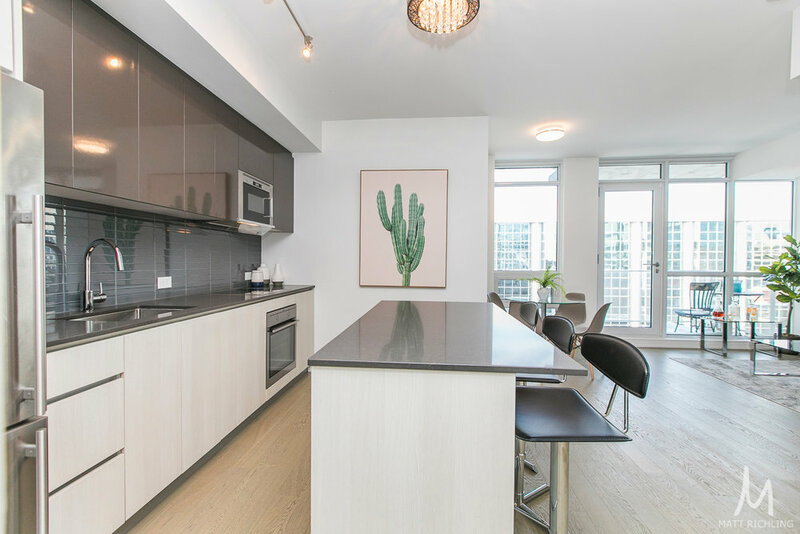 Modern kitchen features: custom designed european style cabinetry, stone countertop, glass tile backsplash, under-mount stainless steel sink, stainless steel appliances, gas cook top, built-in oven, exhaust hood, and ceiling mounted track lighting. 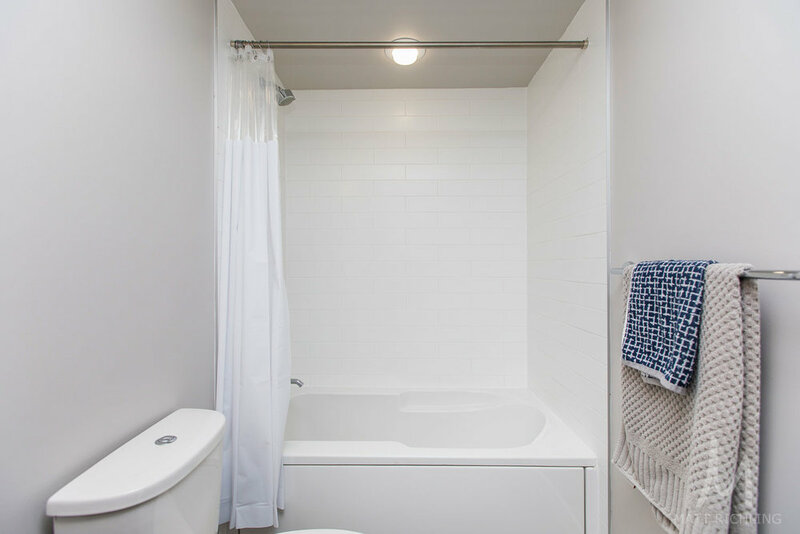 Bathroom features: custom designed european style cabinetry, rain style shower head. 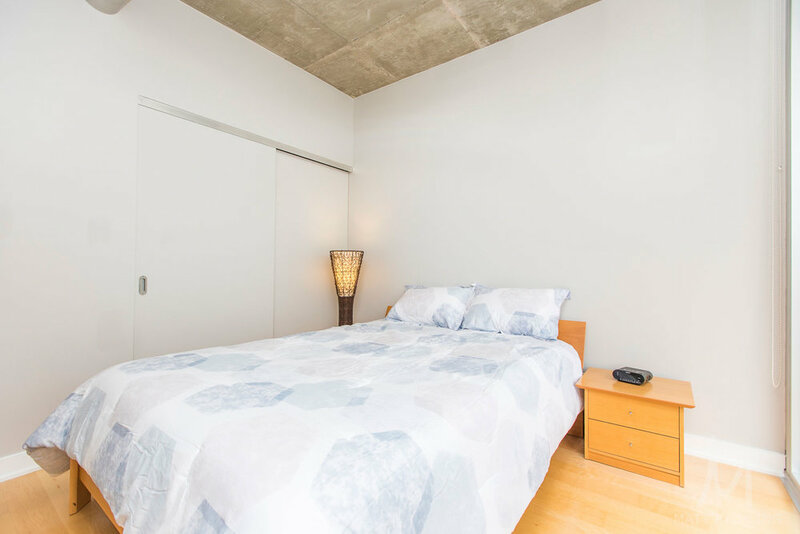 SoBa building amenities include: Modern Skygarden Party Room, Spa Pool, Concierge. 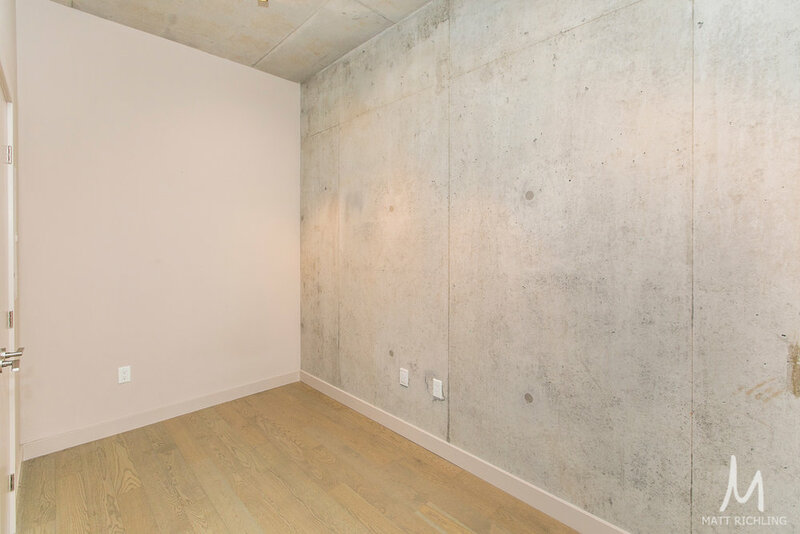 Underground parking ($39,900) and storage locker ($4,500) included. Full Tarion warranty (with pre-delivery inspection) included. 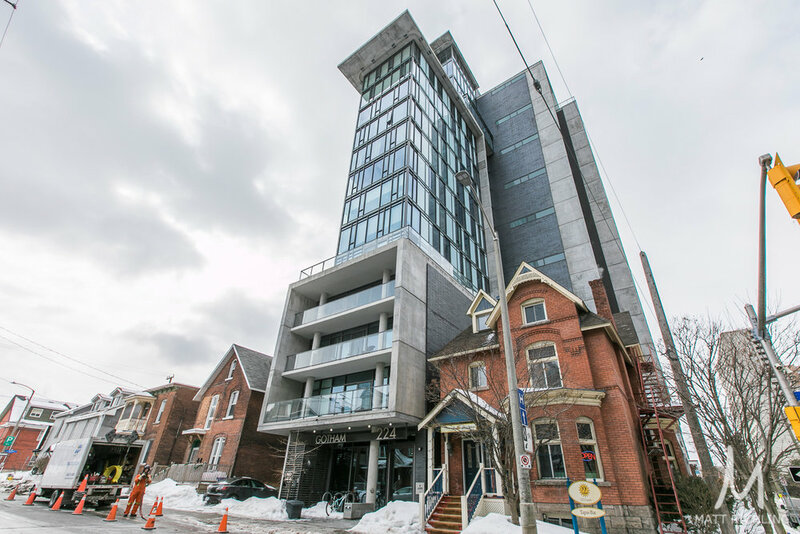 Located on Catherine Street at Bank, with Glebe to the south, and Centretown to the north. The best of Ottawa, all at your fingertips. Currently listed exclusively for $339,900. Property taxes are not yet assessed by the City of Ottawa. For more information, contact Matt Richling (salesperson with RE/MAX Hallmark Realty Group Ltd.) by filling out the contact form below. Welcome to Gotham. Live in this stunning one bedroom plus den with south facing views . 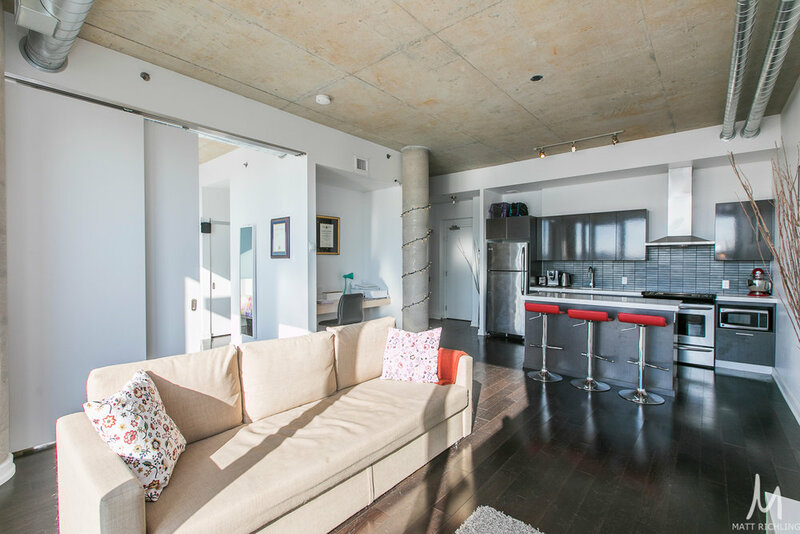 Spacious living room with modern finishes like exposed concrete ceilings and walls, floor to ceiling windows, hardwood floors, quartz counters, stainless steel appliances, open concept kitchen with island, and gas hookup on balcony for your own private bbq. Located on the corner of Lyon and Gloucester, Gotham is where style and design meets downtown living. 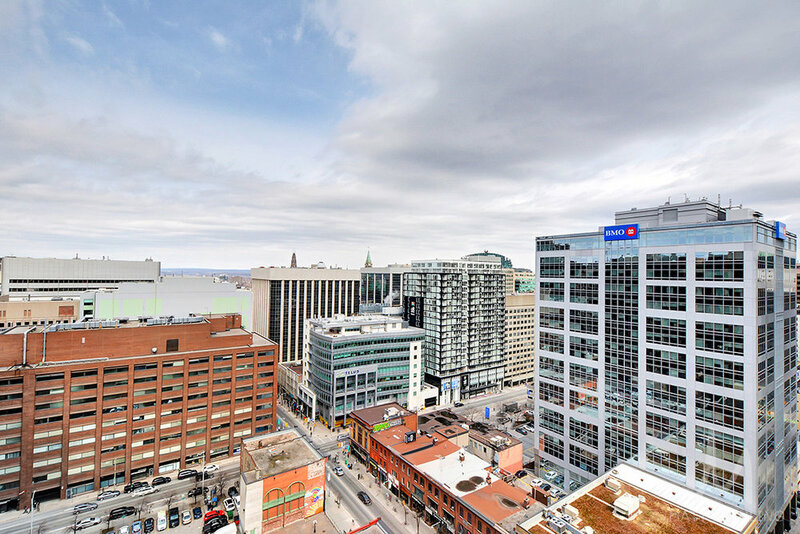 Just steps from downtown, Centretown, and Chinatown, work-life balance has never been easier. Asking $1,925 per month including all utilities (except hydro). For more information or to book a showing, contact Matt Richling (Salesperson at RE/MAX Hallmark Realty Group) by filling out the form below. 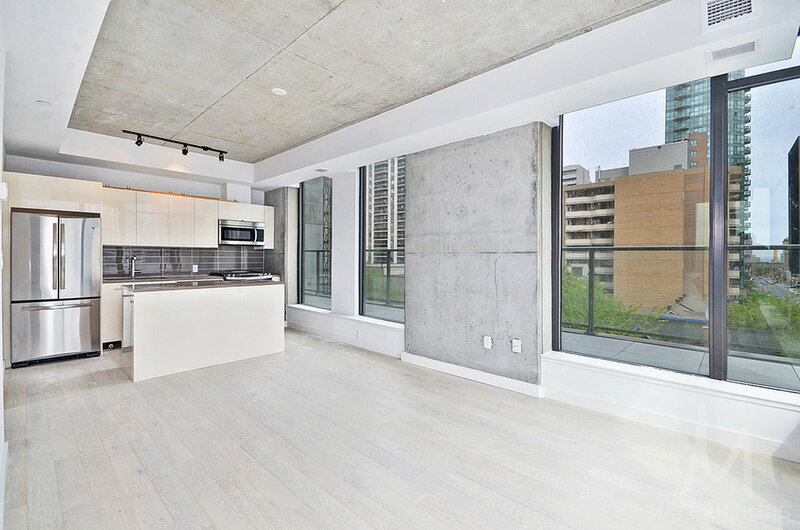 Modern open concept one bedroom located in the center of the financial district. Sleek minimalist interior featuring floor-to-ceiling windows, glass tiles, quartz, high-end stainless steel appliances, etc. 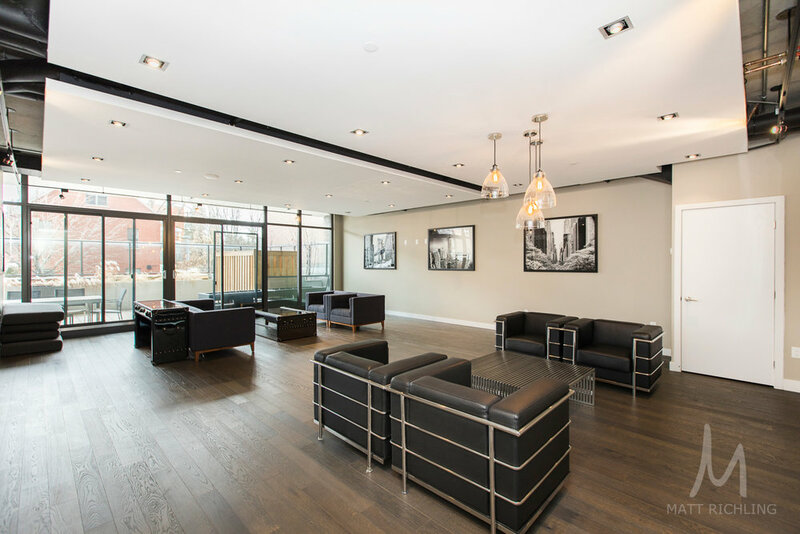 The building features indoor-outdoor amenities that are second to none: concierge, a well-equipped fitness center, luxurious lounge, dining area, and private screening room. On the terrace, there’s a hot tub along with several cozy seating areas perfect for sunbathing or socializing. Steps to the new LRT and the best that the city has to offer - green spaces, world-class dining, wonderful shopping, exciting entertainment - are all just a short walk away. Listed on the Multiple Listing Service for $349,900 with a flexible closing date available. One heated indoor storage locker is included. For more information or to schedule a private viewing, contact Matt Richling (salesperson with RE/MAX Hallmark Realty Group Ltd.) by filling out the form at the bottom of the page. 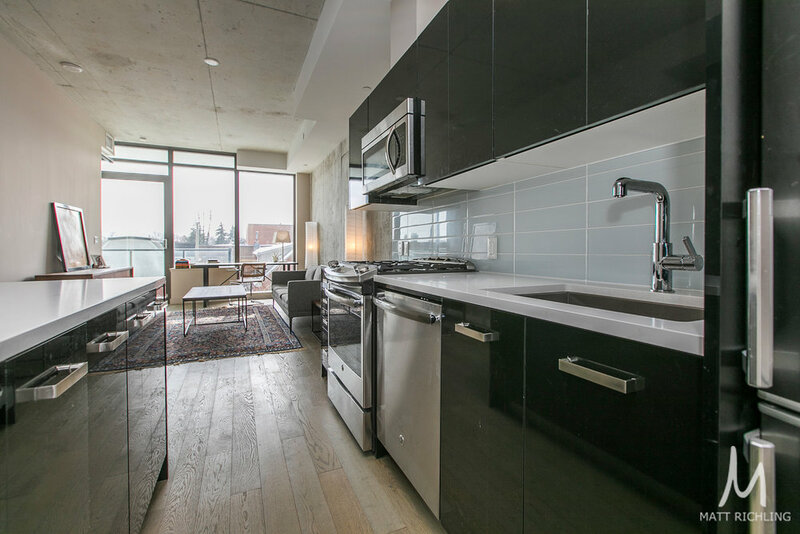 Brand new - never lived in - one bedroom condo on the 15th floor with unobstructed south facing views. 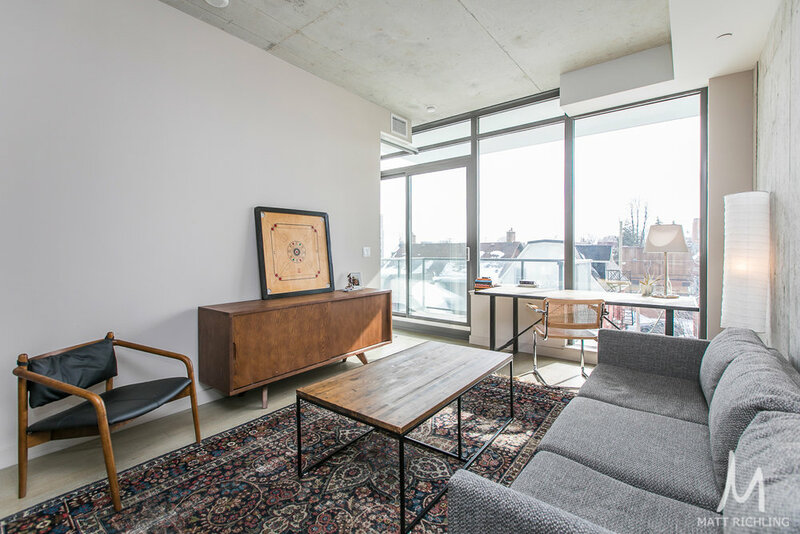 Features exposed concrete ceilings, floor to ceiling windows, exposed concrete walls, pre-finished engineered wood floors, large balcony with gas bbq hookup. 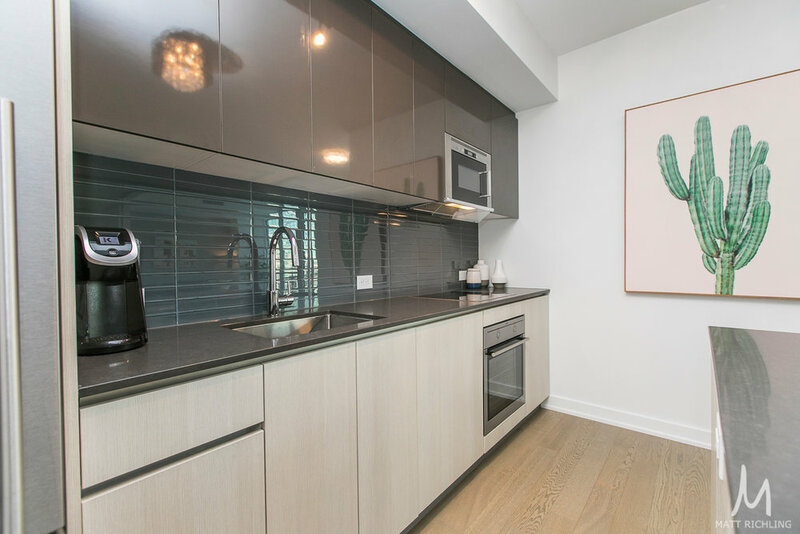 Modern kitchen features: custom designed european style cabinetry, stone countertop, glass tile backsplash, under-mount stainless steel sink, stainless steel appliances, gas cook top, built-in oven, exhaust hood, and ceiling mounted track lighting. 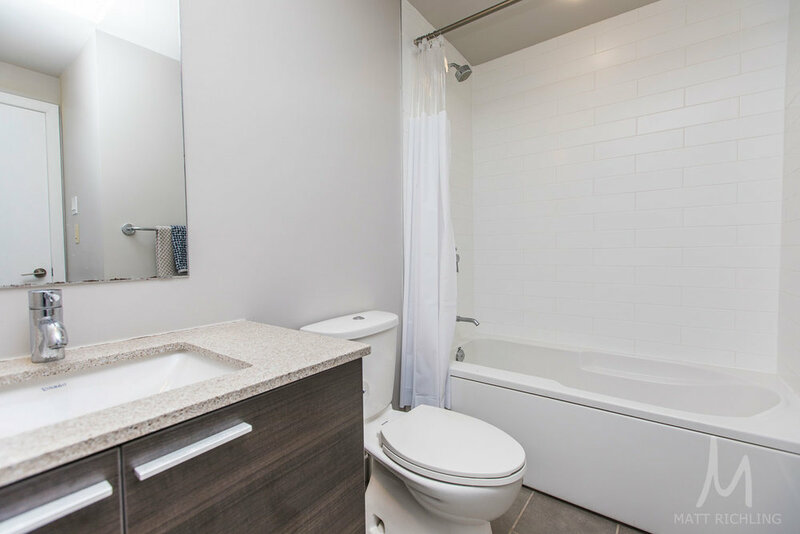 Bathroom features: custom designed european style cabinetry, rain style shower head. 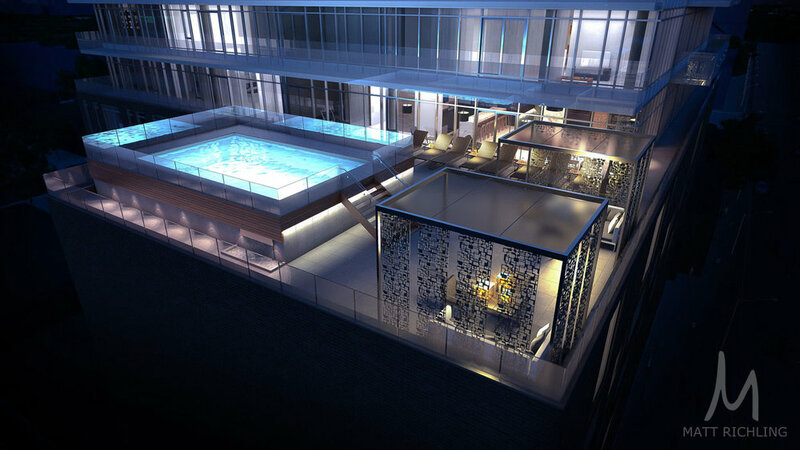 SoBa building amenities include: Modern Skygarden Party Room, Spa Pool, Concierge. Currently listed on the Multiple Listing Service for $1,650 per month. Available to move-in starting January 17th, 2019. 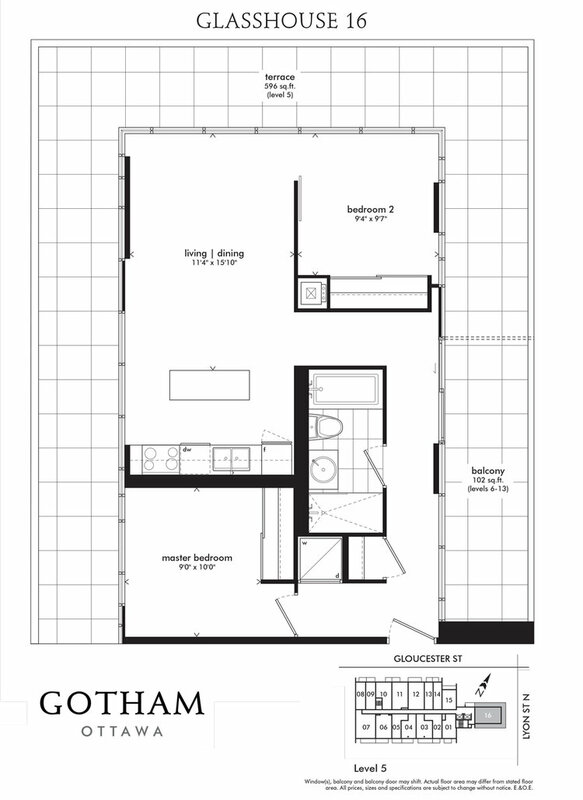 Brand new - never lived in - one bedroom condo available for rent. 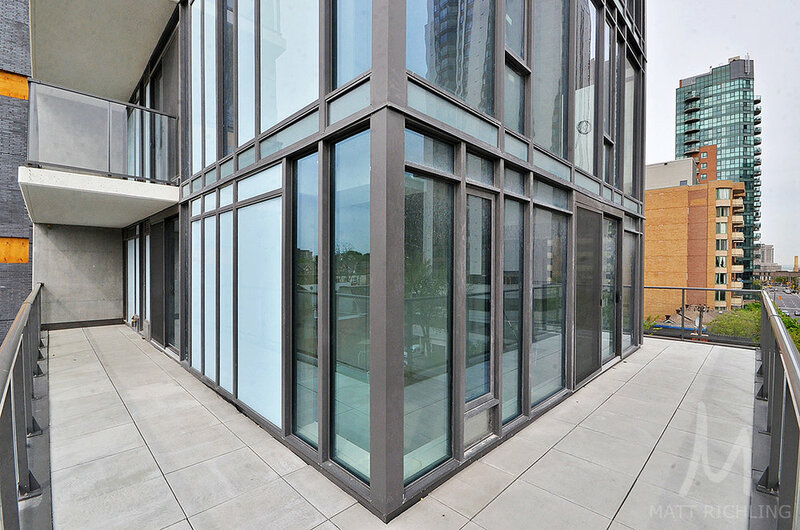 Features exposed concrete ceilings, floor to ceiling windows, pre-finished engineered wood floors. 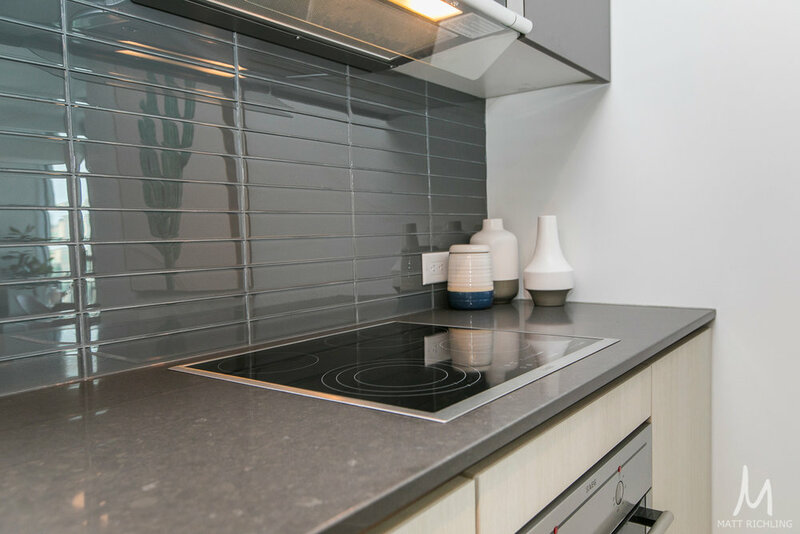 Modern kitchen features: custom designed european style cabinetry, stone countertop, glass tile backsplash, under-mount stainless steel sink, stainless steel appliances, gas cook top, built-in oven, exhaust hood, and ceiling mounted track lighting. 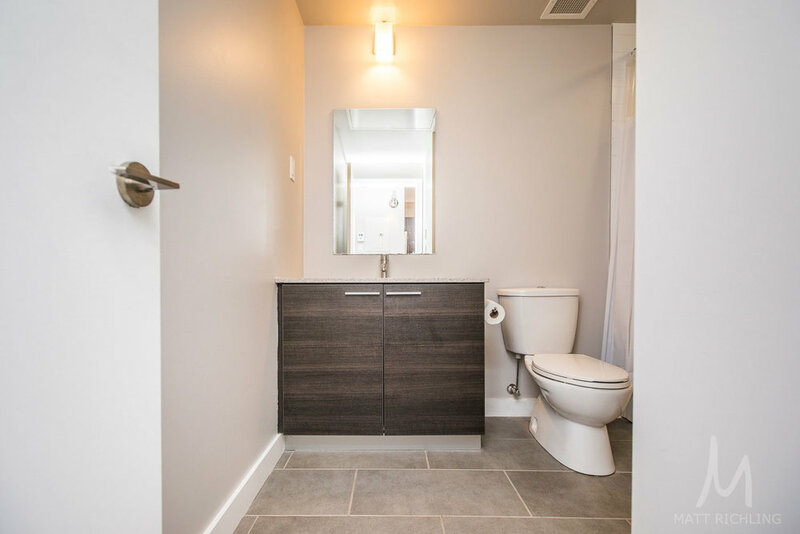 Bathroom features: custom designed european style cabinetry, rain style shower head. 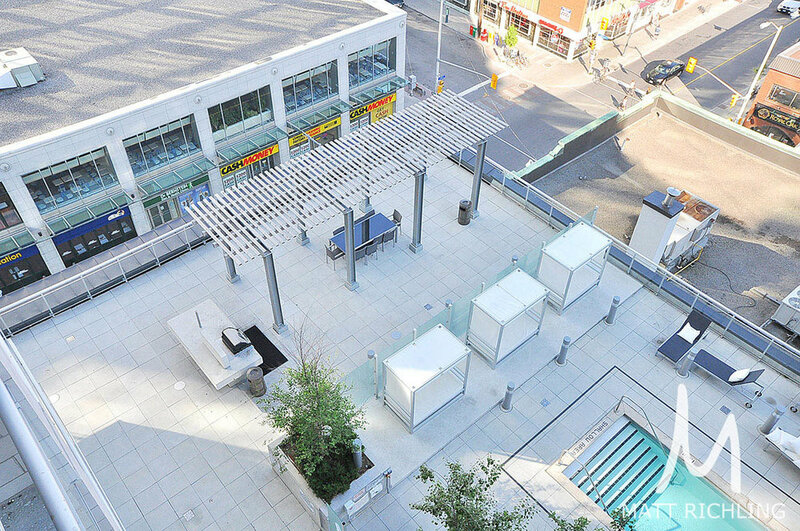 SoBa building amenities include: Modern Skygarden Party Room, Spa Pool, Concierge. Currently listed on the Multiple Listing Service for $1,450 per month plus electricity. Available as of January 17th 2019. Brand new - never lived-in unit. Rare and unique one bedroom plus den, two floor, lofthouse located at Gotham with private entrance and gated terrace. 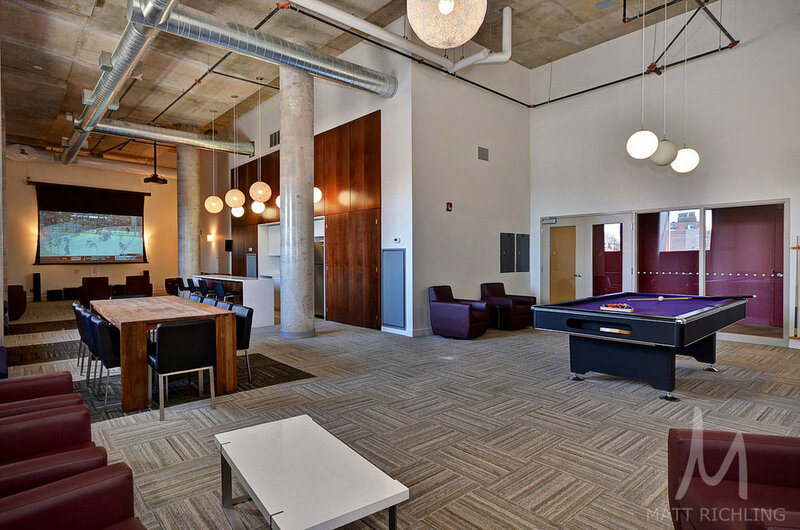 Modern finishes include hardwood floors, 20 ft exposed concrete ceilings and accent walls, etc. The kitchen features quartz counters, stainless steel appliances, gas stove, modern cabinets. Step onto your gated terrace and notice the natural gas hookup that is perfect for your personal barbecue. 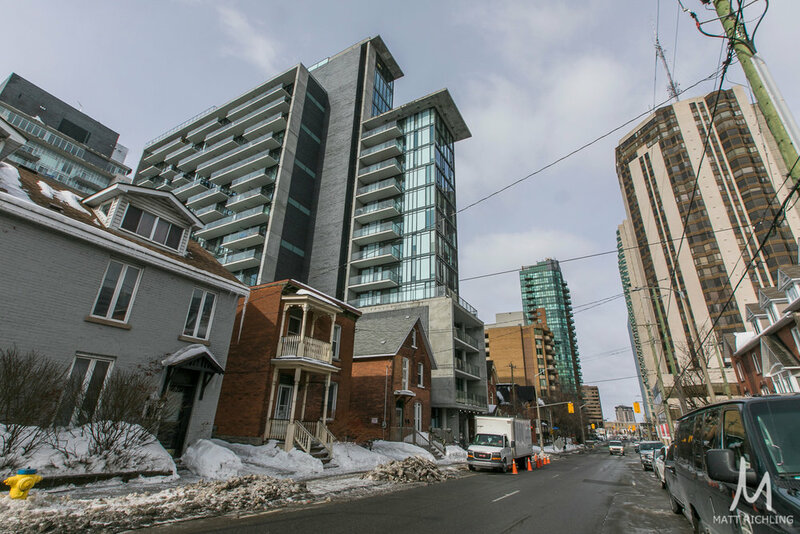 Gotham is a modern statuesque residence rising 17-stories high into Ottawa's skyline. 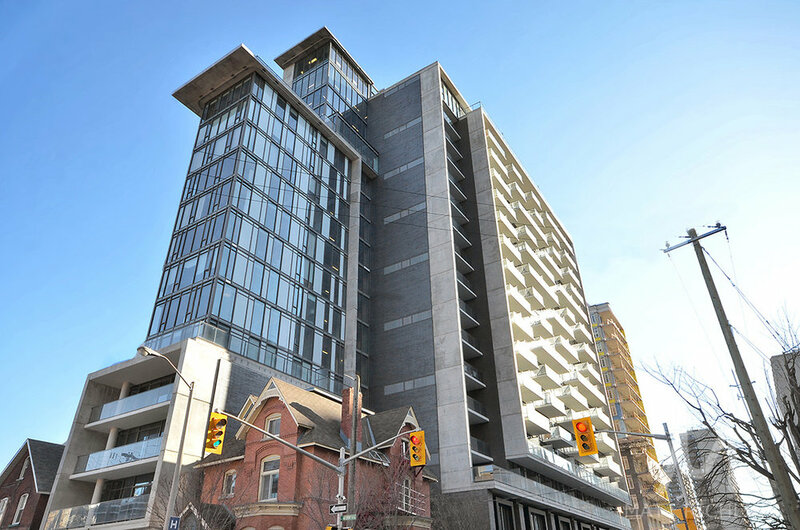 Combining large sheets of glass, solid steel, and bold charcoal brick, Gotham is Ottawa's newest landmark. Developed by Brad J. Lamb, CEO of Lamb Development Corporation, Gotham has a striking monolithic architectural form, envisioned to offer a multitude of living options in one of the best locations possible. 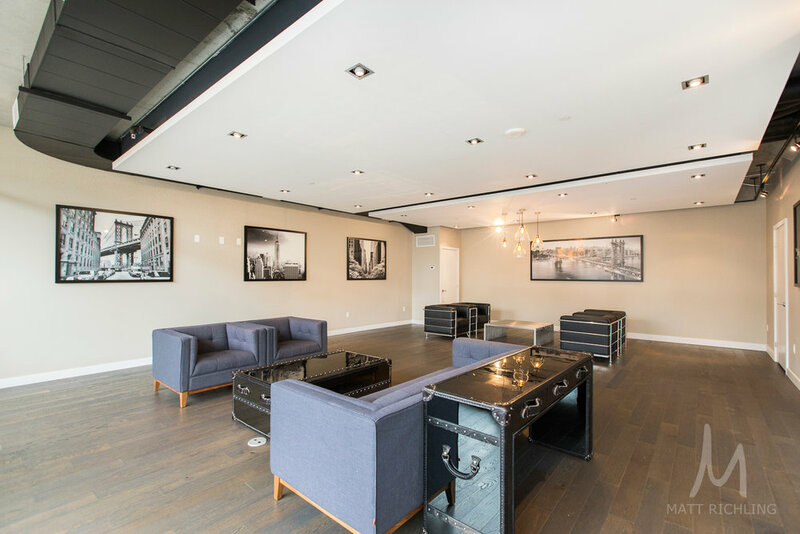 Gotham features a concierge along with electronic buzzer system, surveillance cameras, key fob entry for lobby and garage, bicycle parking, etc. It also has a large party room with full kitchen, large dining table, large terrace, and a separate seating area for socializing. Located at the corner of Lyon and Gloucester, Gotham is where style and design meet downtown living. 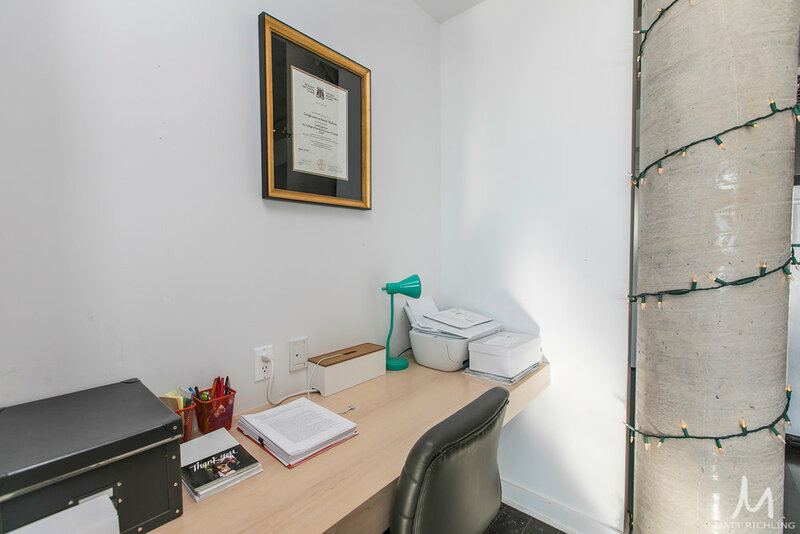 Just steps from downtown, Centretown, Little Italy, Hintonburg, Chinatown, and Lebreton Flats, work-life balance has never been easier. Steps to the new LRT means easy access across the city! Listed on the Multiple Listing Service for $380,610 with a flexible closing date. The monthly condo fees are $384.80. For more information or to schedule a private viewing, please contact Matt Richling (salesperson with RE/MAX Hallmark Realty Group Ltd.) by filling out the form below. "Imagine what it would be like to live in a condominium where every intricate detail has been designed to awaken your sense of style while simultaneously satisfying your desire for comfort. Timeless design, well thought out living spaces, style and flair are SoHo’s signature. We used the same high-quality materials and standards demanded by our boutique hotel clientele – well-heeled jet-setters, movie and rock stars, and C-level executives (CEOs, CFOs, COOs) – who demand living spaces equivalent to the comfort of expensive homes. For example, marble bathrooms with large shower stalls andrainshower head, a handshower with diverter, Floor-To-Ceiling and all-To-Wall Windows©, European appliances and Quartz countertops. 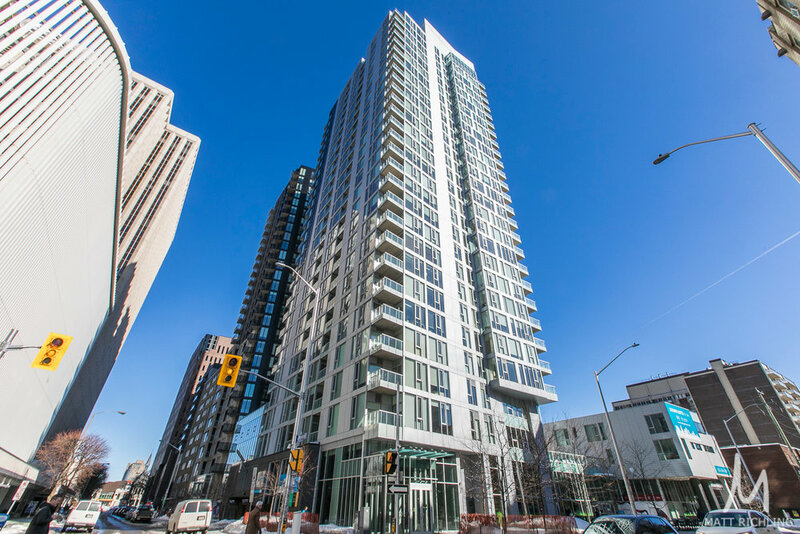 Unlike any other condominium in downtown Ottawa, SOHO Lisgar is the perfect blend of luxury mixed with timeless design. Step inside and feel at home. 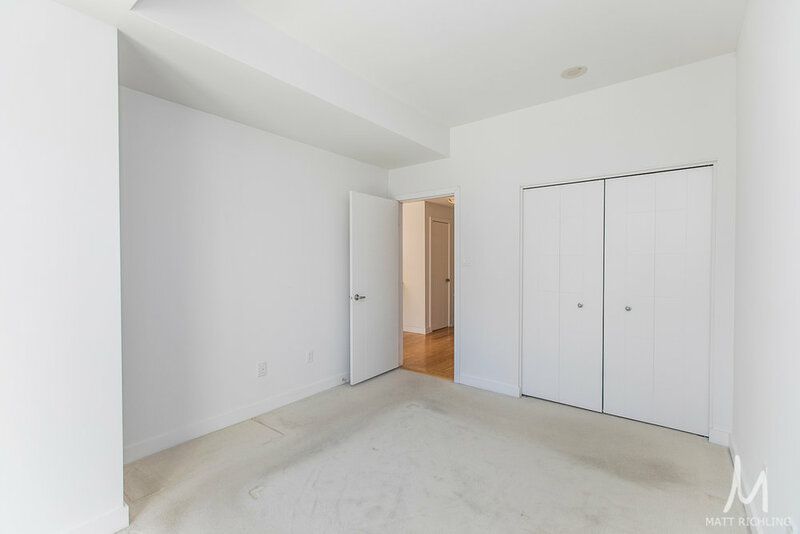 This 777 sqft (as per builder plans) one bedroom plus den has numerous upgrades and features that you both expect and deserve. 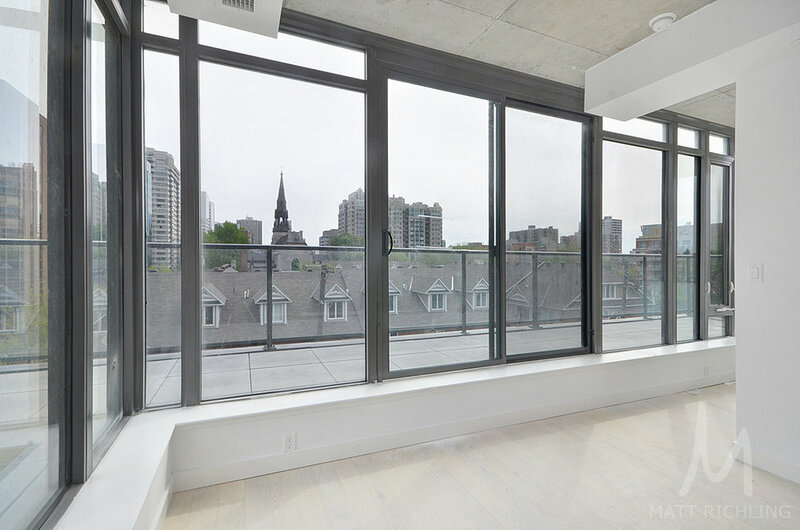 The floor to ceiling windows provide a beautiful north facing backdrop over the city. The kitchen is appointed with European appliances - Concealed Liebherr fridge, AEG wall oven, AEG cooktop, and concealed AEG dishwasher. Quartz countertops, glass tile backsplash, under cabinet valance lighting, an island with both storage and seating. The bathroom mirror even features a TV in the mirror! One underground heated parking space is included. The buildings boutique hotel style lobby provides the first impression. Welcomed by the concierge, step inside and notice the 14 foot ceilings, luxury wall art and lighting fixtures. Over 7000 sqft of indoor and outdoor amenity space including the Dalton Brown Gym, lockers, change room, outdoor lap pool, hot tub, sauna, outdoor kitchen and BBQ, seating area with linear fireplace. Executive boardroom and private dining area located beside the SoHo Prime Minister's Club. Featuring Wolfe range, Subzero fridge, and separate wine fridge, it is an amenities room with style - perfect for every occasion. The private theatre was designed by Ambiance Systems, perfect for the full cinema experience, a short elevator ride away. 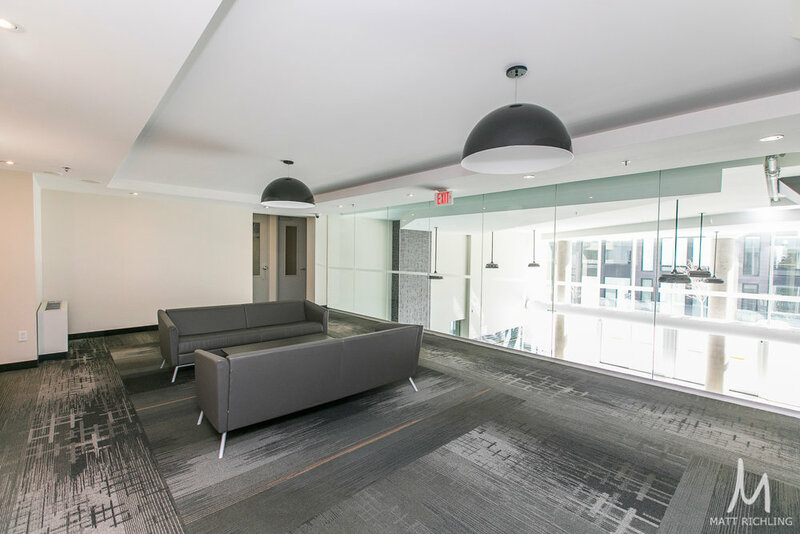 Located in the heart of Centretown, SOHO Lisgar is just steps from Parliament Hill, Nordstrom, Rideau Shopping Centre, City Hall, Supreme Court, US Embassy, The Rideau Canal, etc. Multiple grocery stores are steps away - such as the brand new Sobey's. 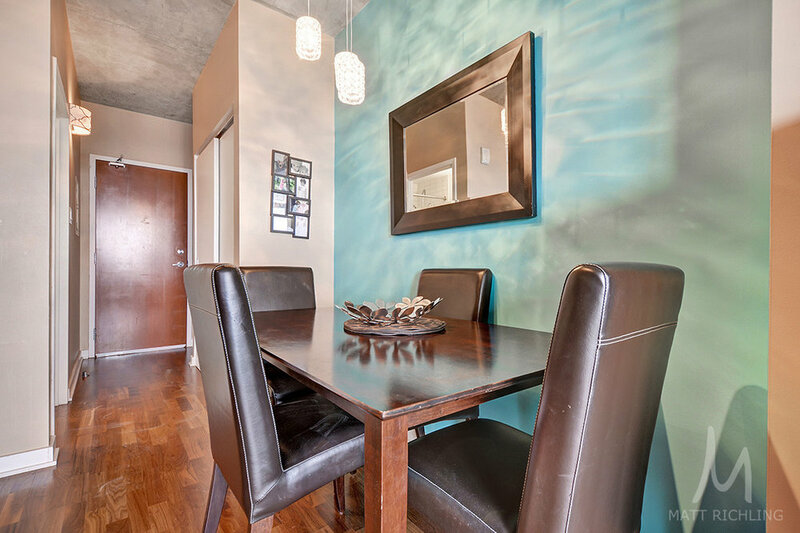 Listed on the Multiple Listing Service for $349,900 with a monthly condominium fee of $610.33. A flexible closing date is available. Property Taxes for 2018 are $3,952.38. For more information or to schedule a private viewing, please contact Matt Richling (sales representative with RE/MAX Hallmark Realty Group Ltd.) by filling out the form below, or Matt@MattRichling.com. 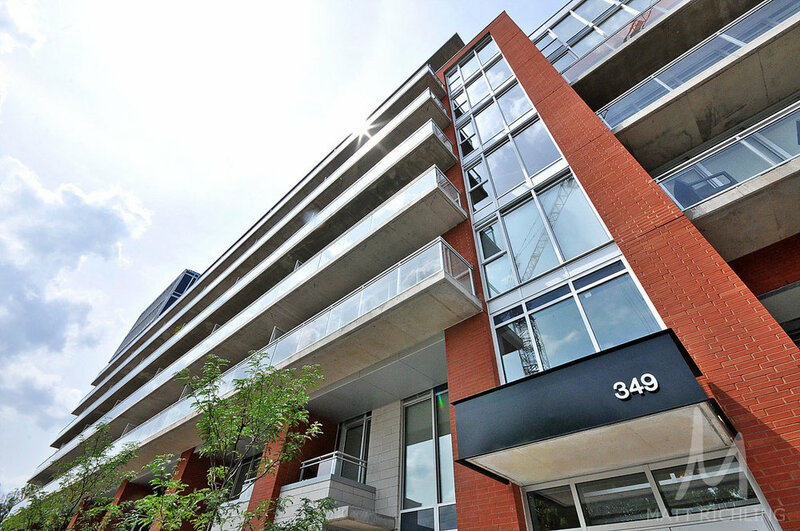 Large one bedroom condo with beautiful renovations, stunning city views, and amazing location. The major kitchen renovation was done in 2011 (with condo board approval! ), which features an open concept design, granite countertops with breakfast bar overhang (perfect for entertaining), oversized sink, and TONS of cupboard storage space! 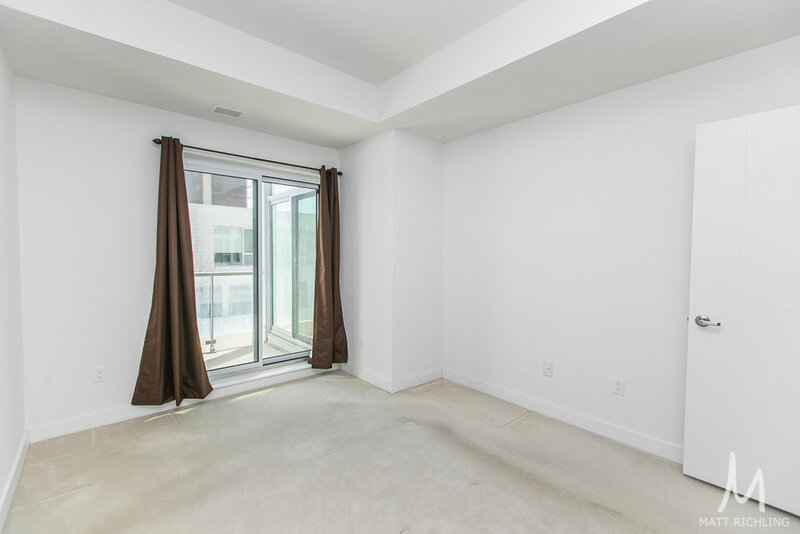 This corner unit has numerous windows that provide plenty of natural light. 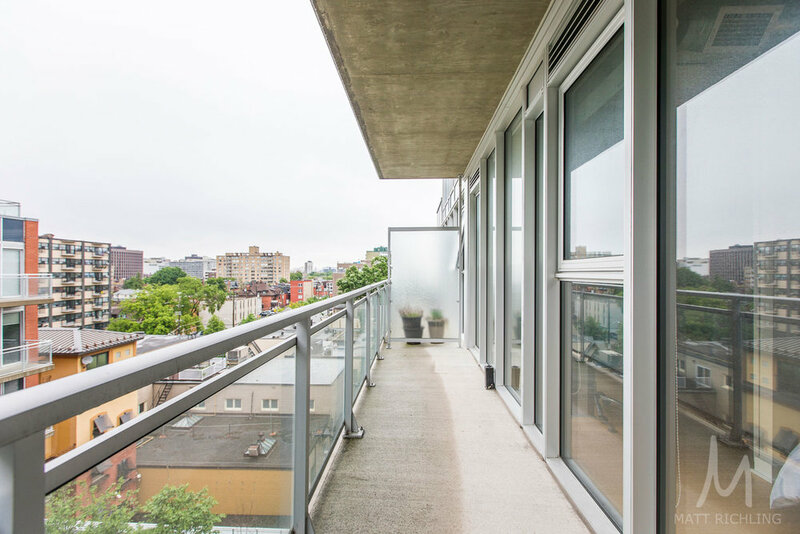 Step outside and enjoy the enormous balcony - which is perfect for unwinding after a long day. 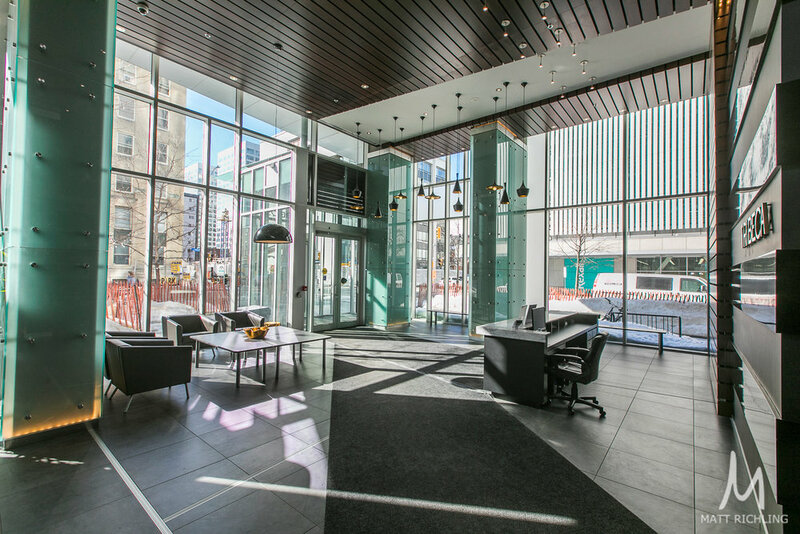 Located at 200 Bay Street in the heart of downtown Ottawa, this boutique building is a hidden gem with only four units per floor. Only steps to the new LRT station, and very central to Supreme Court, Parliament Hill, Bank Of Canada, numerous parks and dog area’s, etc. A 94 Walk Score which is referred to as a Walker’s Paradise with daily errands not requiring the use of a car. For those that have a car, one heated underground parking spot is included in the price. What does the owner say about the unit she loves and is sad to leave? ” What do we love the most about the condo? Listed on the public Multiple Listing Service for $260,000 with a flexible closing date available. The monthly condominium fees are $447, and property taxes for 2018 are $2285.65. For more information or to schedule a private viewing, contact Matt Richling (Sales Person with RE/MAX Hallmark Realty Group Ltd.) by filling out the form below, or calling direct 613-286-9501. Brand new - never lived-in unit. Rare and unique one bedroom, two floor, lofthouse located at Gotham with private entrance and gated terrace. 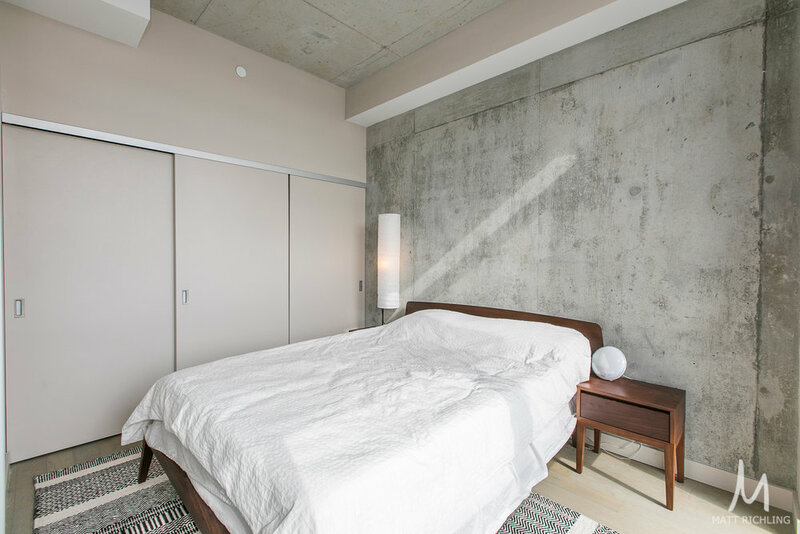 Modern finishes include hardwood floors, 20 ft exposed concrete ceilings and accent walls, etc. The kitchen features quartz counters, stainless steel appliances, gas stove, modern cabinets. Step onto your gated terrace and notice the natural gas hookup that is perfect for your personal barbecue. Located at the corner of Lyon and Gloucester, Gotham is where style and design meet downtown living. 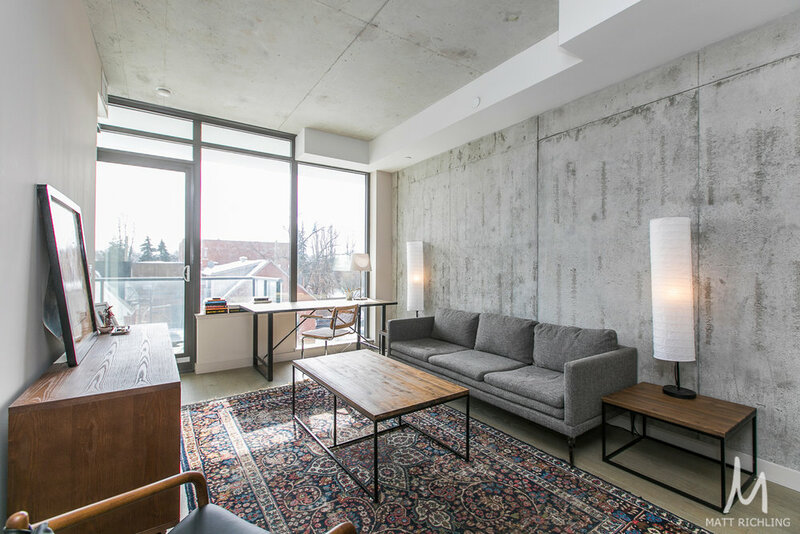 Just steps from downtown, Centretown, Little Italy, Hintonburg, Chinatown, and Lebreton Flats, work-life balance has never been easier. Listed on the Multiple Listing Service for $338,310 with a flexible closing date. The monthly condo fees are $315.92. 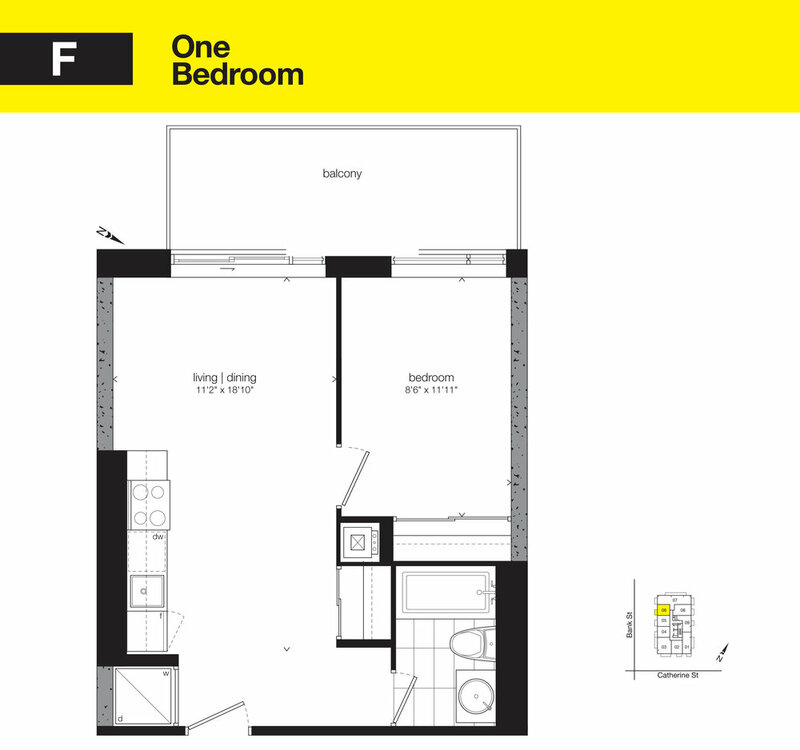 Large one bedroom plus den located at Gotham with unobstructed southern views. Modern finishes include hardwood floors, quartz counters, exposed concrete ceilings and accent walls, floor to ceiling windows, etc. The kitchen features quartz counters, stainless steel appliances, gas stove, modern cabinets. Step onto your balcony and notice the natural gas hookup, perfect for your personal barbecue. Listed on the Multiple Listing Service for $319,000 with a flexible closing date. The monthly condo fees are $355.76. Currently, tenant occupied requiring 24 hours notice for any showings. 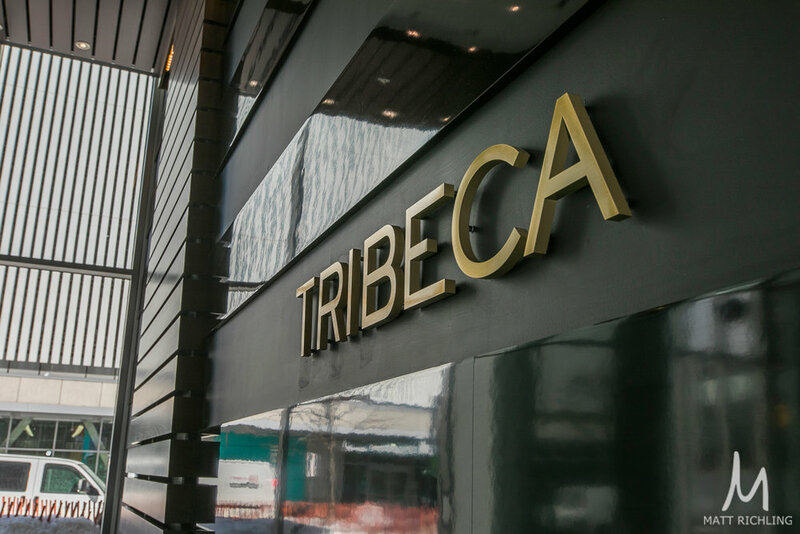 Welcome to the Tribeca! A truly desirable location for those looking to get the most out of their urban lifestyle. 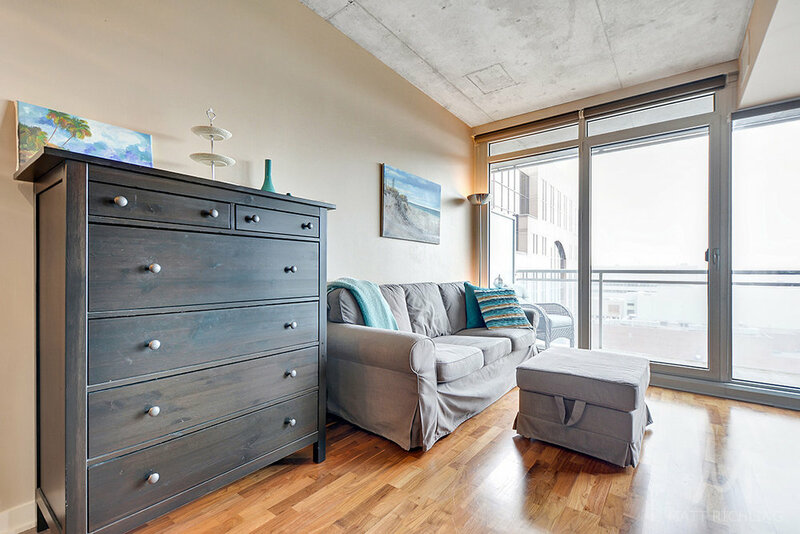 This 1 Bed + Den CORNER UNIT with 9ft ceilings, rich hardwood flooring, exceptional floor-to-ceiling windows & picturesque views is sure to impress. You are welcomed to a bright open concept space with a multi-use open den or dining room & a generous size master bedroom with corner window & sitting area. 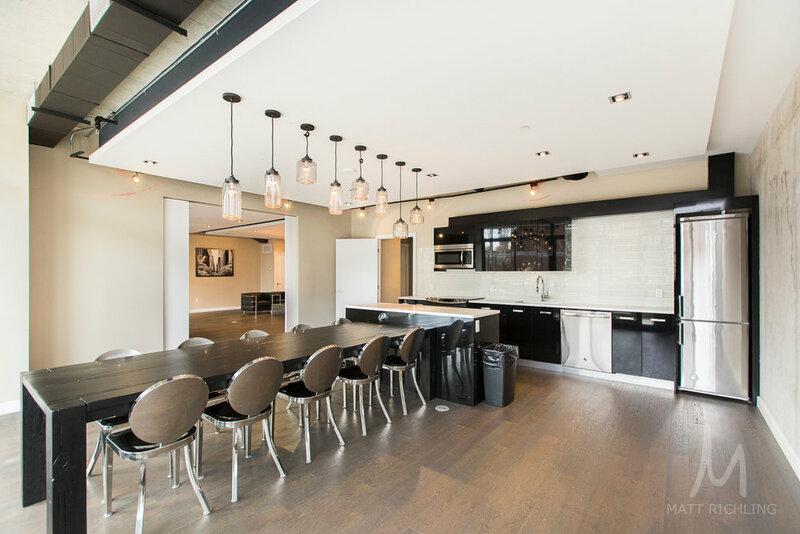 The open concept kitchen features granite countertops, mobile island & stainless steel appliances. 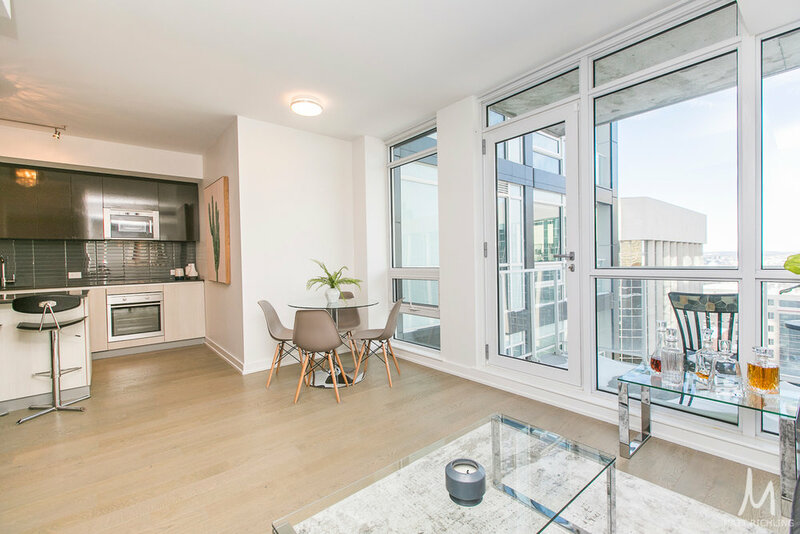 The spacious living room boasts floor to ceiling windows & access to the balcony with North / East views (towards Parliament) from the picturesque 23rd floor. 1 PARKING space & LOCKER included. 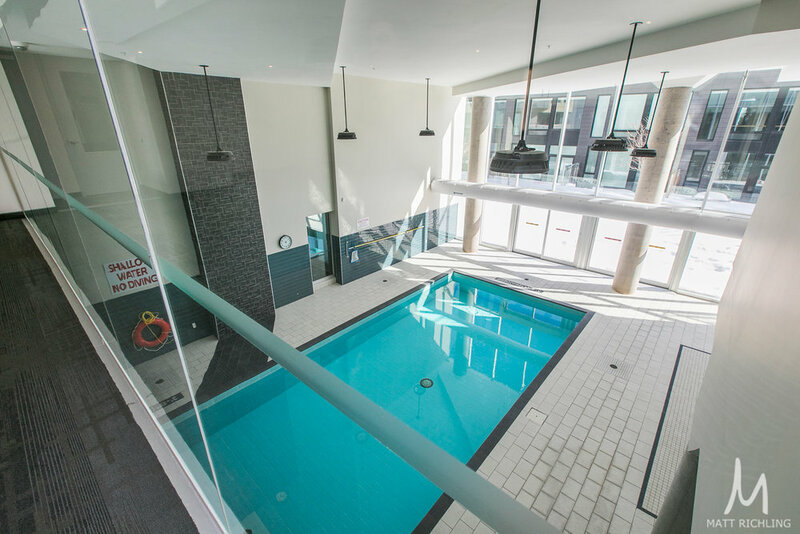 Exceptional amenities include 24-hour concierge/security, a guest suite, rooftop terrace, outdoor patio with BBQ's, indoor pool, exercise centre, party room and conference rooms. 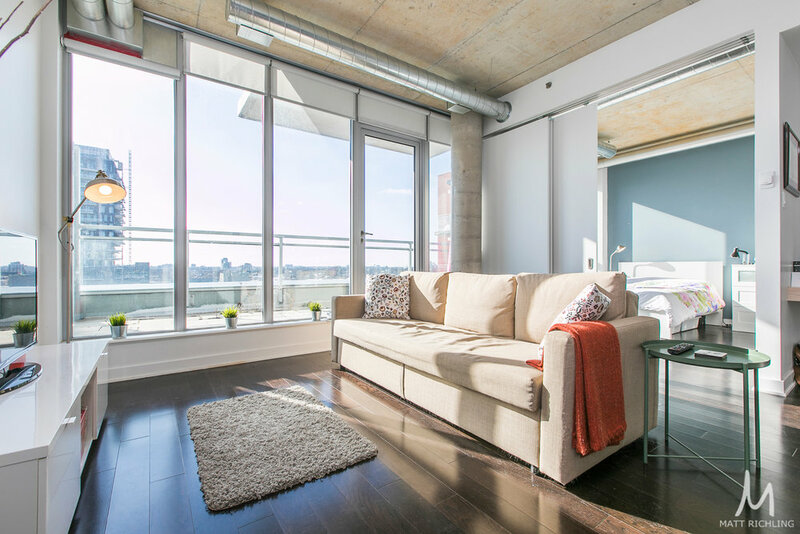 You are walking distance to Parliament Hill, National Art Centre, the Canal, Rideau Centre & much more. - Listing Provided by Royal Lepage Team Realty Adam Mills, Brokerage - Matt Richling provided the buyers. 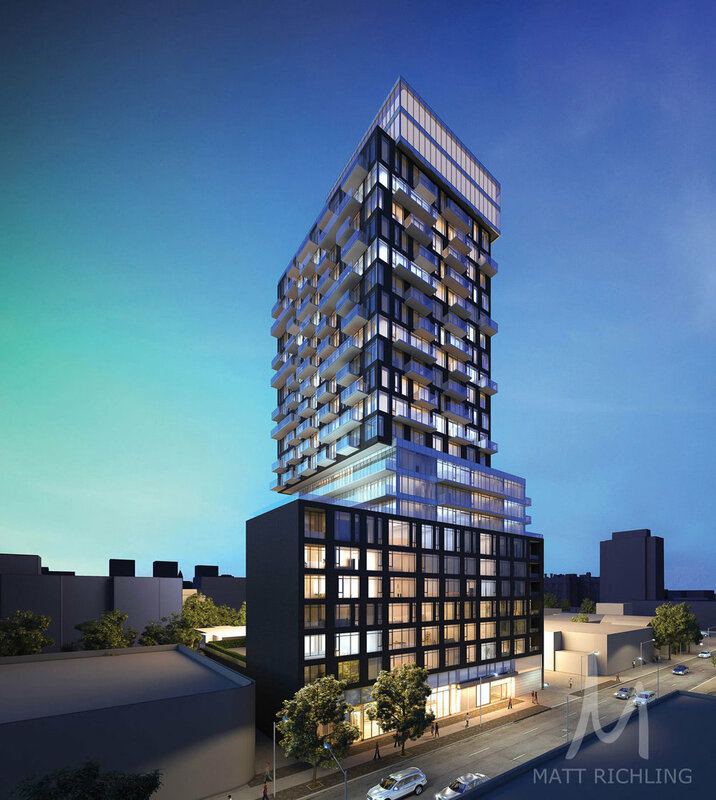 Unlike any other condominium in downtown Ottawa, SOHO Lisgar is the perfect blend of luxury mixed with timeless design. Step inside and feel at home. 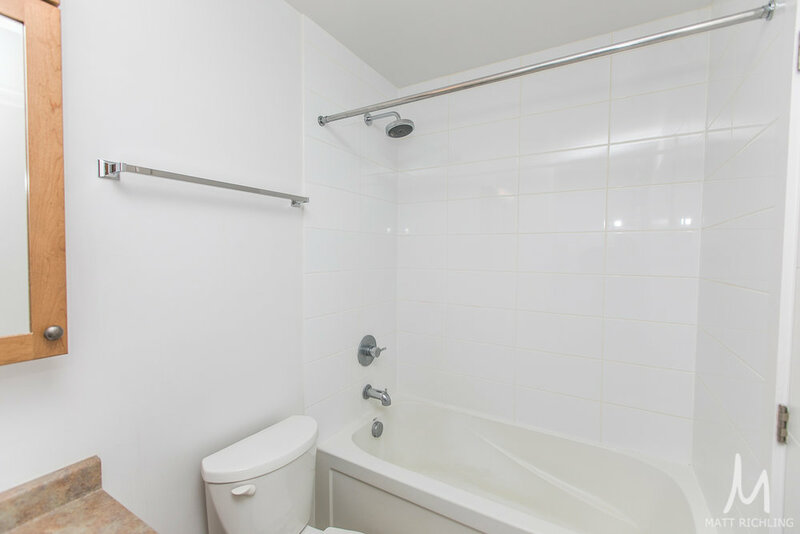 This one bedroom has numerous upgrades and features that you both expect and deserve. 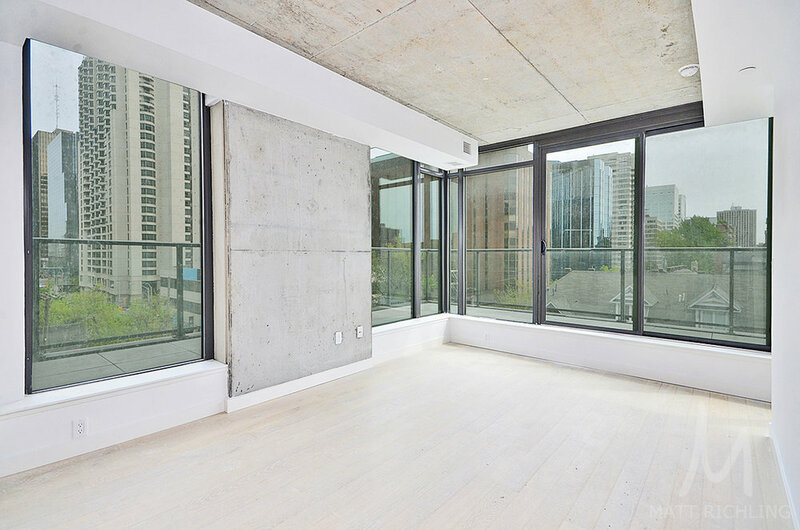 The floor to ceiling windows provide a beautiful south facing backdrop over the city. The kitchen is appointed with European appliances - Concealed Liebherr fridge, AEG wall oven, AEG cooktop, and concealed AEG dishwasher. Quartz countertops, glass tile backsplash, under cabinet valance lighting, an island with both storage and seating. 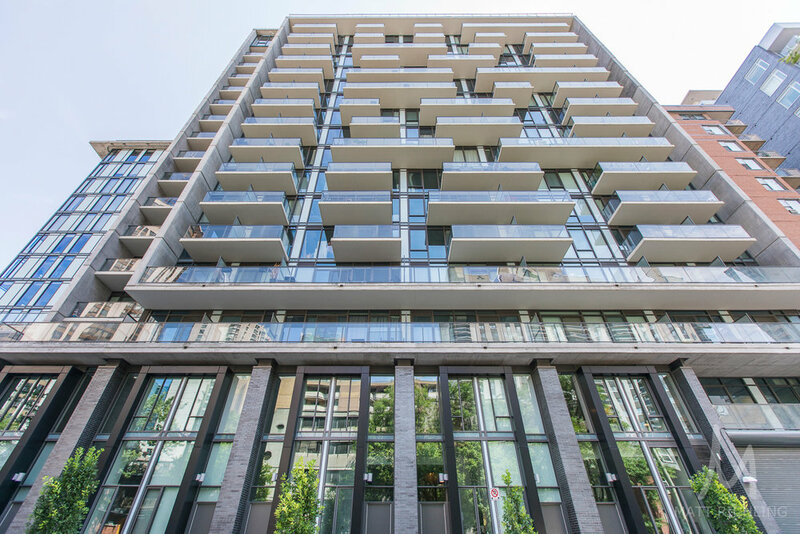 Listed on the Multiple Listing Service for $2872,500 with a monthly condominium fee of $467.26. A flexible closing date is available. Brand new - never lived in unit. Rare and unique one bedroom loft located at Gotham with private entrance and gated terrace. 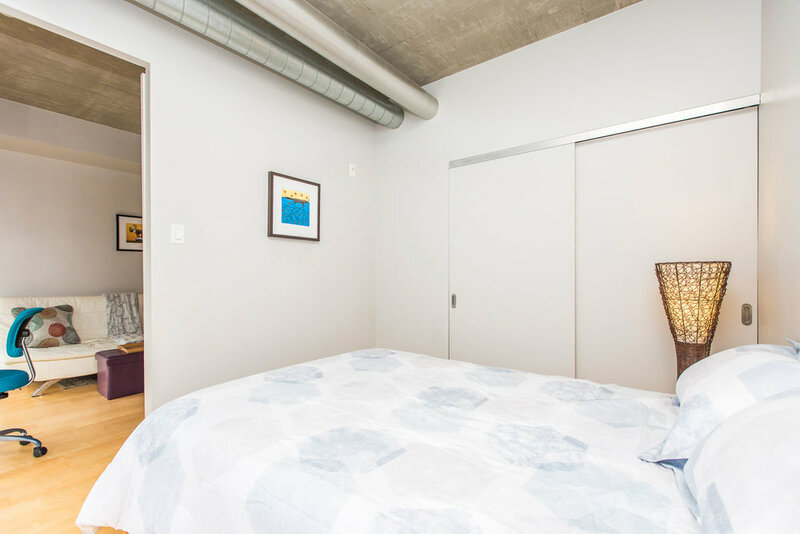 Modern finishes include hardwood floors, 14 ft exposed concrete ceilings and accent walls, etc. 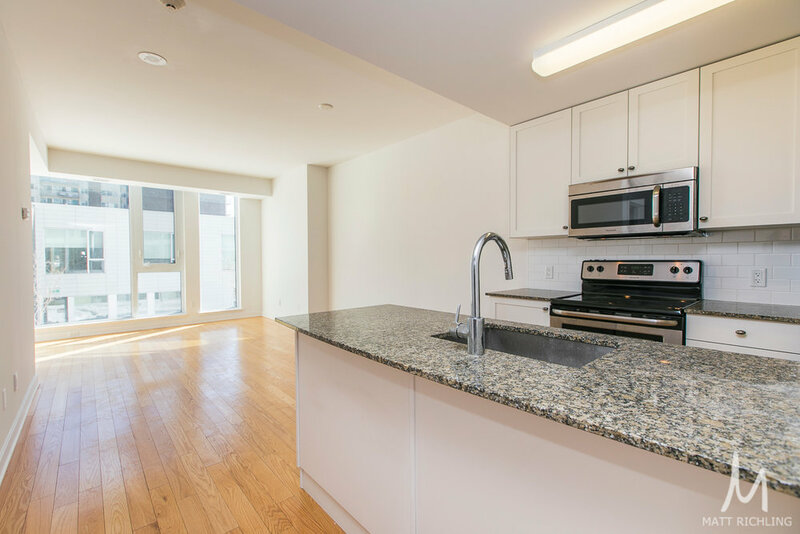 The kitchen features quartz counters, stainless steel appliances, gas stove, modern cabinets. Step onto your gated terrace and notice the natural gas hookup that is perfect for your personal barbecue. Listed on the Multiple Listing Service for $268,738 with a flexible closing date. The monthly condo fees are $270.40. 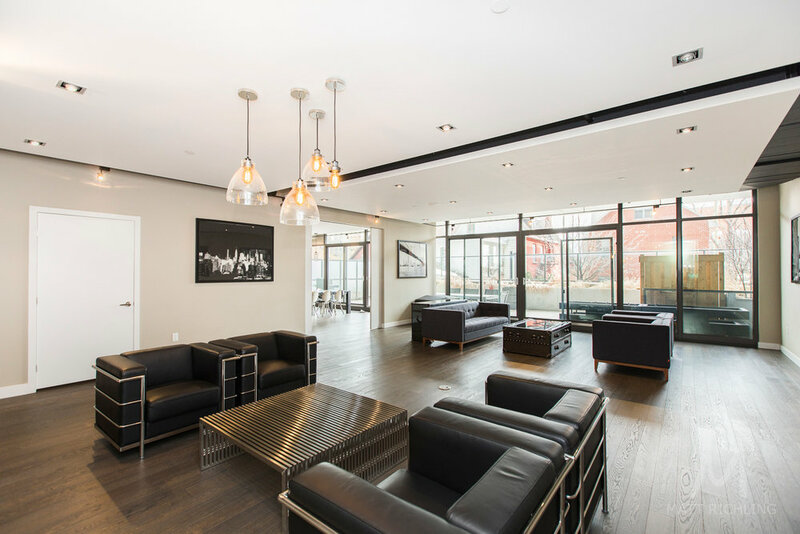 This modern one bedroom condo features rich hardwood floors, floor to ceiling windows, exposed ductwork, and modern barn doors. 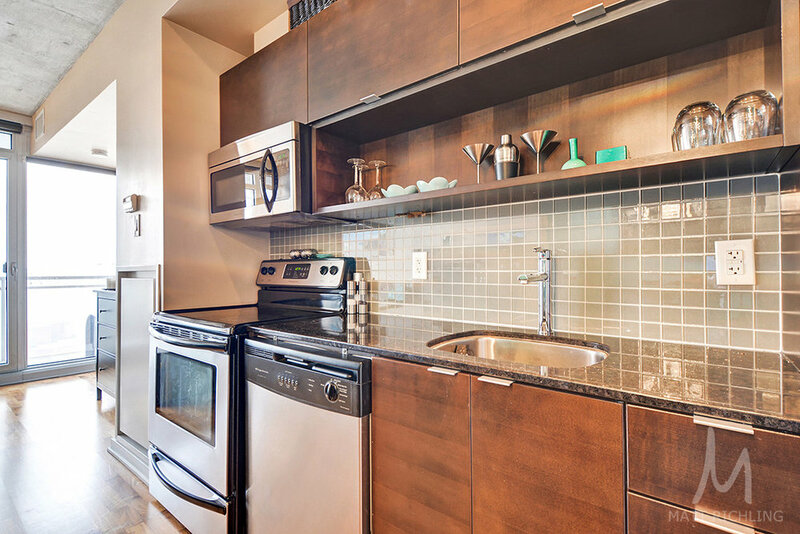 The kitchen features stainless appliances, quartz counters, and modern accents. With only one owner this unit has been well kept and loved. Pride of ownership is felt throughout the unit. The building features one of the largest amenity rooms along with the luxury features you would expect. 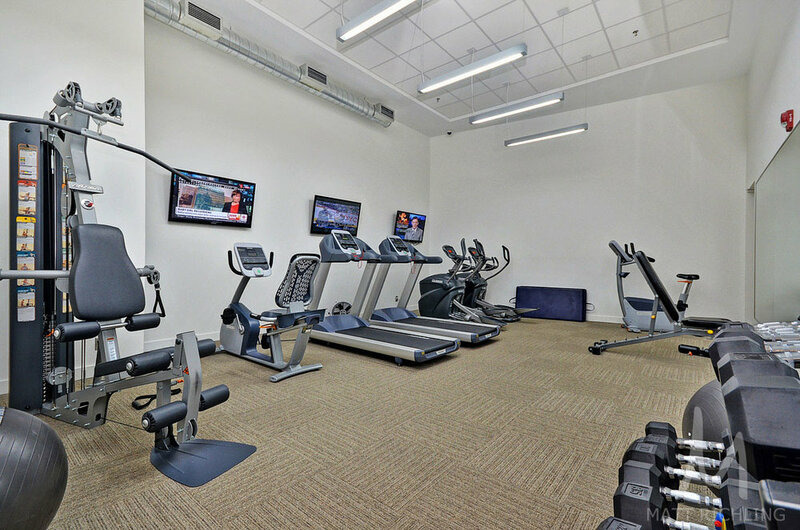 17-foot entrances and lobbies, executive concierge, exercise room with free weights and cardio equipment. The lounge features a large twelve person dining table, kitchen and bar, billiards table, and media room with large projector and surround sound. 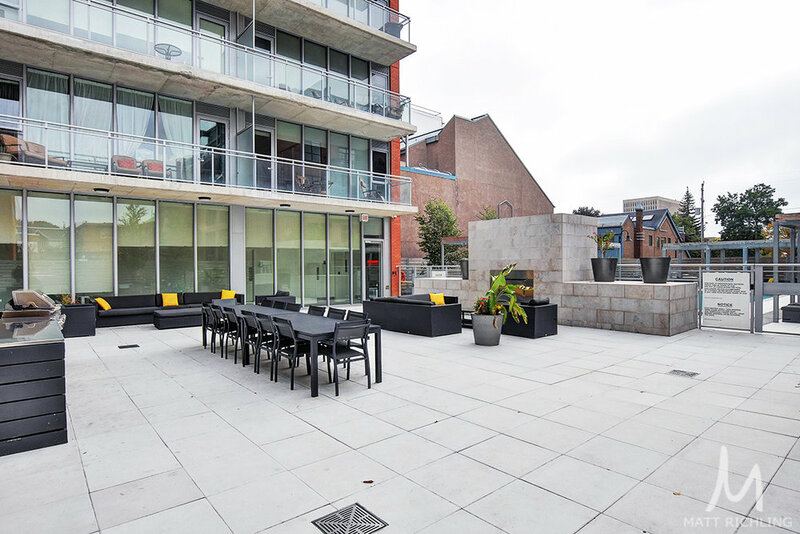 The interior courtyard features outdoor seating, bbq area, and lush green landscaping. Not only does the building have luxury amenities and unique history in the city, Central was built to have a green future. 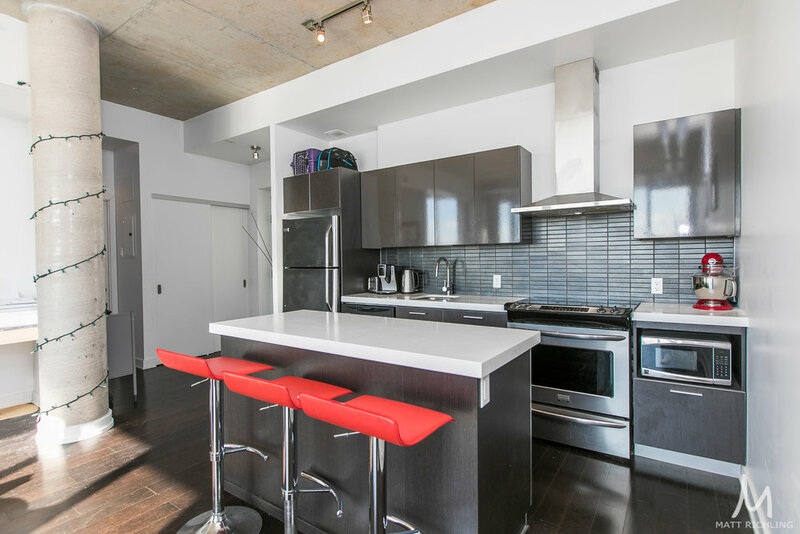 A LEED Silver certified building, it is among Ottawa's most environmentally advanced condominiums. A few of the features include a green roof with rainwater collection for on-site irrigation, building recycling system, low and energy saving faucets and appliances, the list goes on. Located in the heart of Centretown, at the corner of Bank Street and Gladstone Avenue, the building was named due to its central location. A few blocks to the north and you have the city's downtown and parliamentary precinct, a short walk to the office. 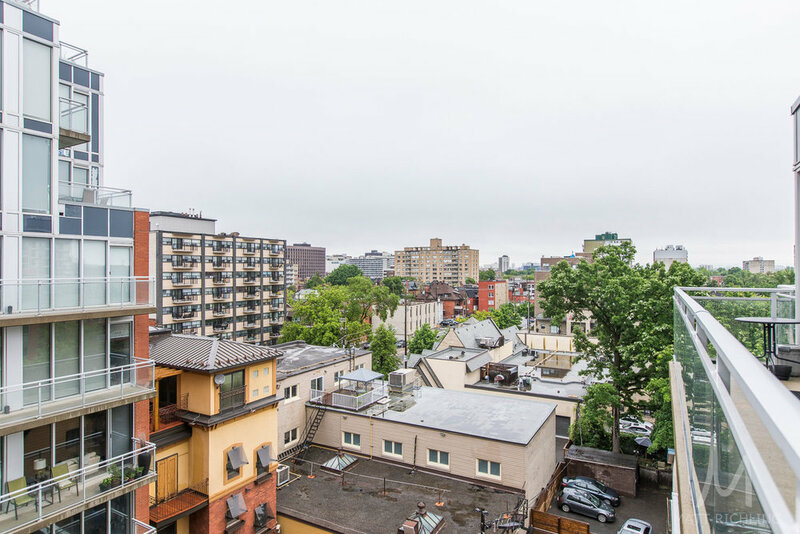 Two blocks to the south is the Glebe - Fashionable, hip, one of Ottawa's top urban neighbourhoods. And surrounding the building you have a budding district of shops, restaurants and leafy residential streets. At the base of the building, you have Starbucks, Shoppers Drug Mart, and the LCBO. A little further and you have some of the top restaurants (Fauna, Whalesbone, El Camino, Datsun, Union 613, Town etc) and shopping in the city (Nordstrom and the Rideau Shopping Centre). Offered on the Multiple Listing Service for only $269,900 with a flexible closing date. Monthly condominium fees are $239.62. One storage locker is included. 349 Mcleod Unit 632. For more information, or to schedule a private viewing, please contact Matt Richling (salesperson with RE/MAX Hallmark Realty Group Ltd.) by filling out the form below. The only unit of its kind. 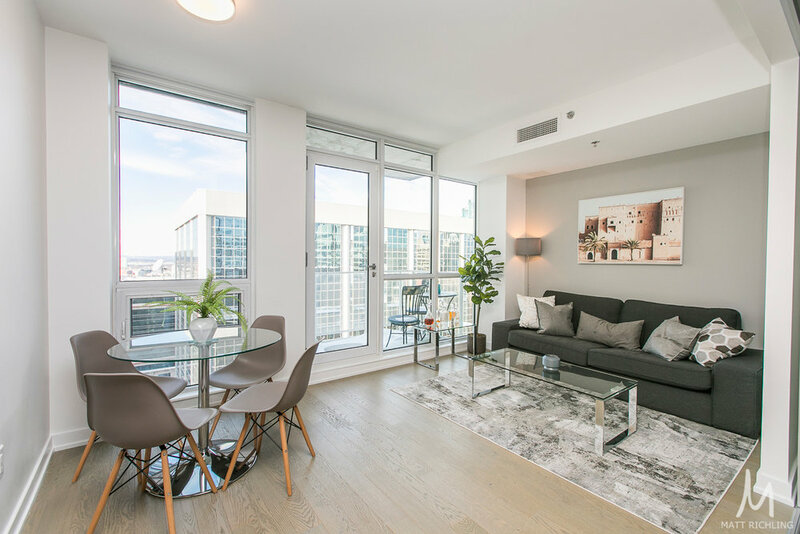 Two bedroom condo inside the Glasshouse at Gotham Ottawa with North, South, and East views from its wrap around floor to ceiling windows. Then add a 600sqft wrap around terrace that is complete with a gas line for your personal barbecue. 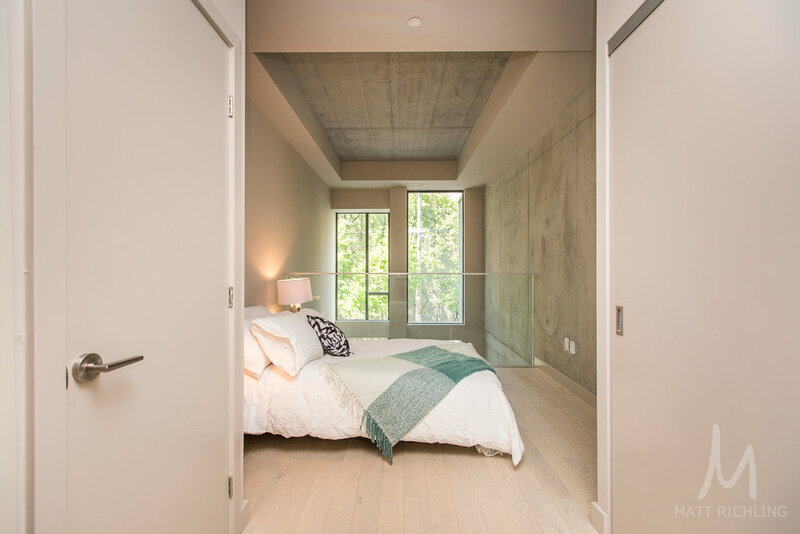 Design elements include whitewashed hardwood floors, exposed concrete ceilings and accent walls, and large sliding privacy doors. 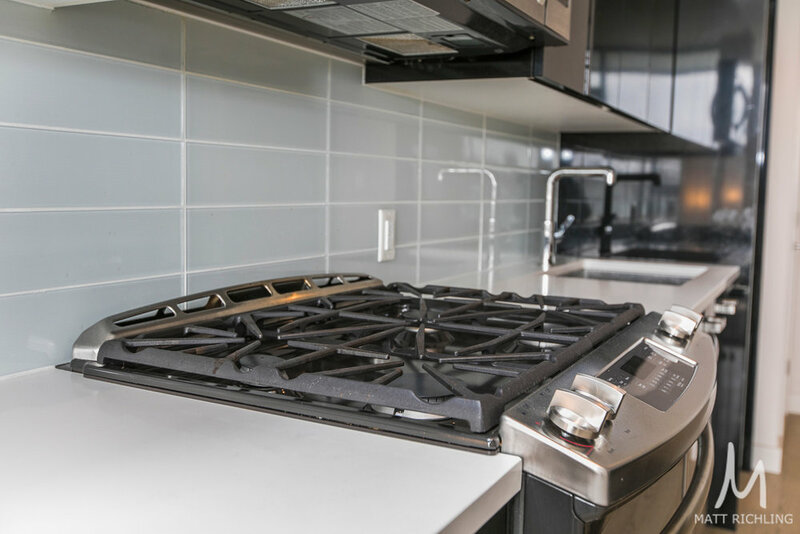 The kitchen features full-size stainless steel appliances (gas stove, fridge, dishwasher, microwave), quartz countertops, wrapped with clean white cabinets. 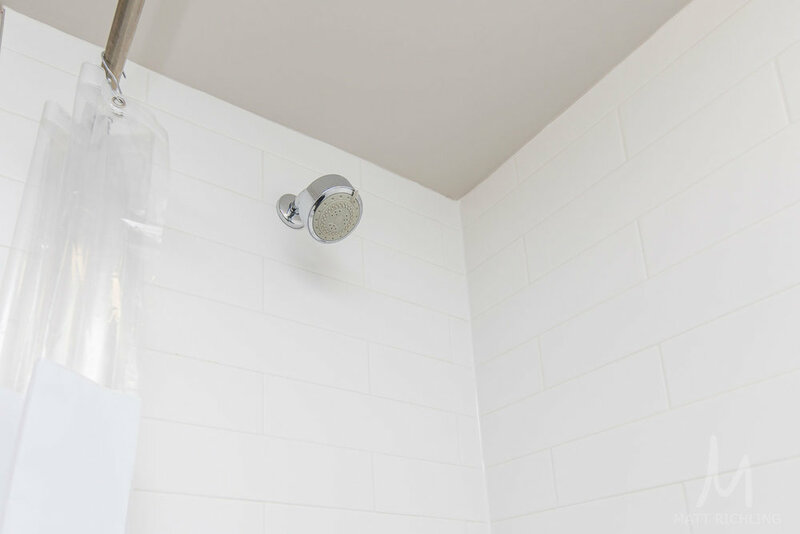 The hotel inspired bathroom features an oversized walk-in shower (rain shower head!) and separate deep soaker bathtub, complete with quartz counters and full vanity width mirror. Located at the corner of Lyon and Gloucester, Gotham is where style and design meet downtown living. 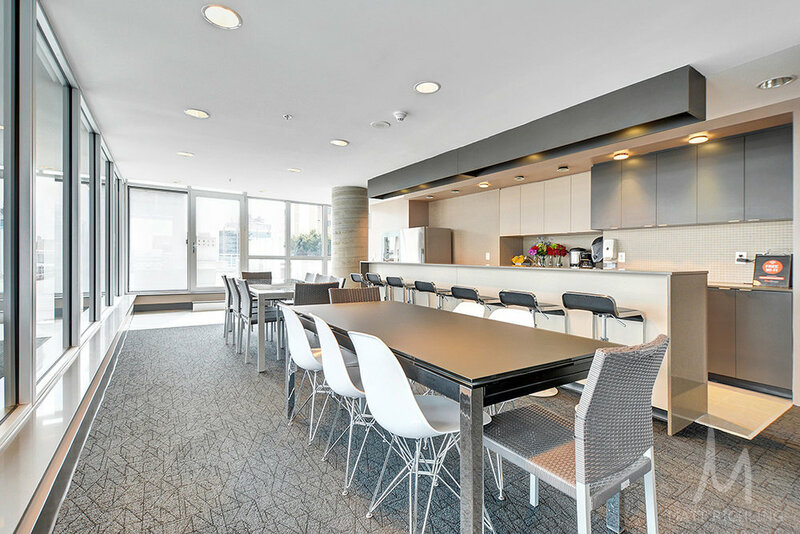 Just steps from downtown, Centretown, and Chinatown, work-life balance has never been easier. 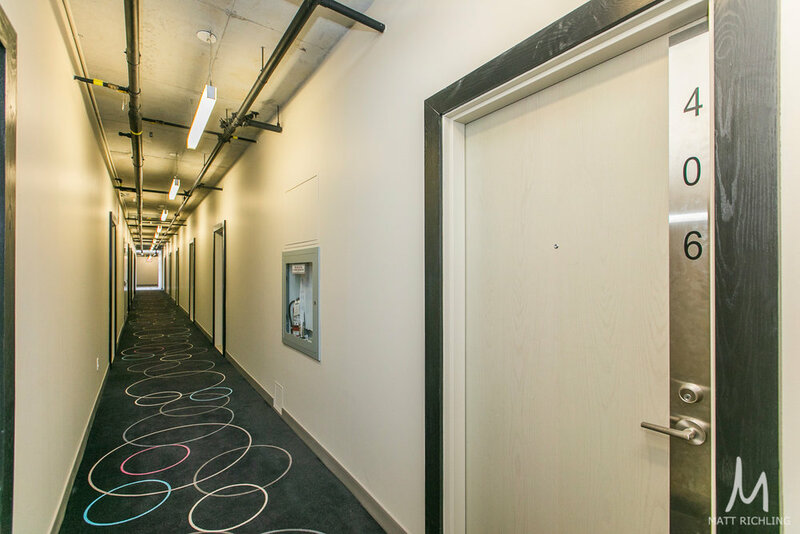 Building features a concierge located in the luxurious lobby, along with electronic buzzer system, key fob entry for lobby and garage, bicycle parking, etc. The building also includes a well-appointed amenities room for any event or gathering that you wish to host. 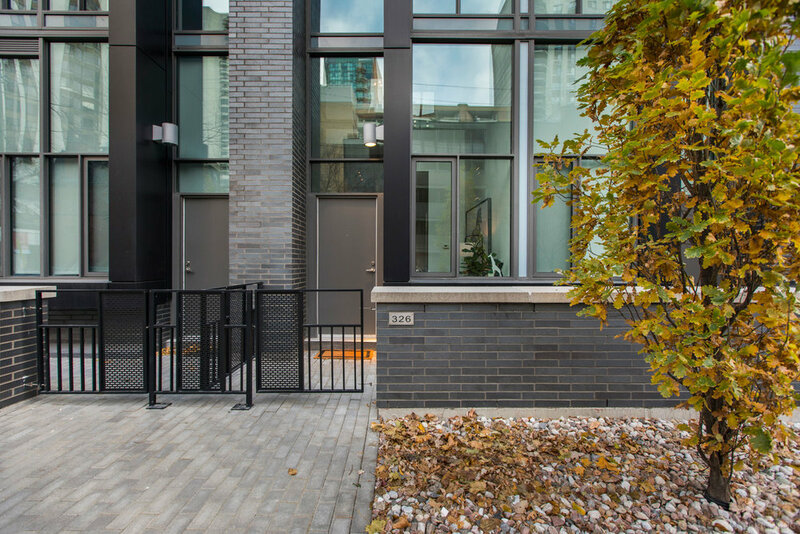 One heated underground parking space and storage locker are included in the price, but with such a great location it certainly isn't needed. Coming soon to the Multiple Listing Service for $479,900.00 CDN with a flexible closing period. The monthly condominium fee is $458.22. For more information or to schedule a private viewing, please contact Matt Richling (salesperson at RE/MAX Hallmark Realty Group Ltd.) by filling out the form below. 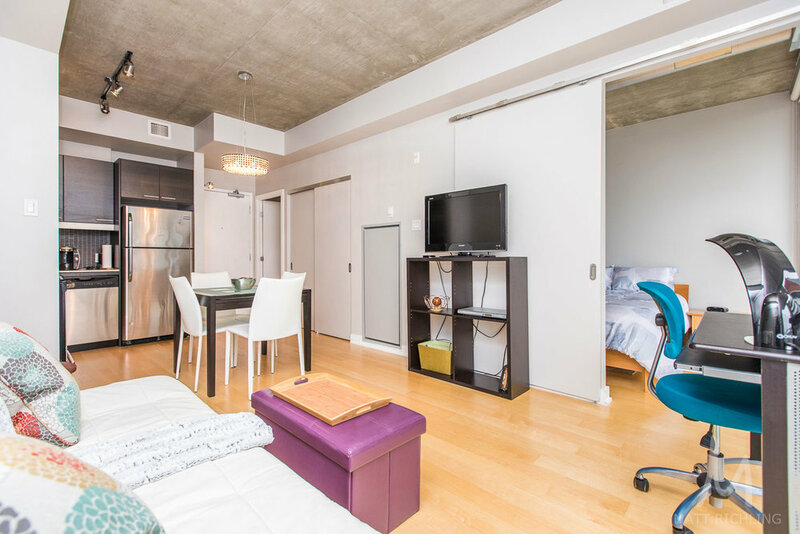 Stunning ONE BED PLUS DEN in an incredible location in the heart of downtown. This 860 square foot unit offers loads of space and features GRANITE COUNTERS, STAINLESS APPLIANCES WITH HARDWOOD AND TILED FLOORS throughout. The open concept allows for an entertaining sized dining table and/or a computer nook so you can use the den as a guest room if you prefer. This intelligent layout offers a walkthrough closet with direct access to the main bath and laundry from the master bedroom. The Mondrian is a modern facility with full concierge service, an exercise room and a fabulous indoor/outdoor lounge with a terrace, barbecues and an outdoor pool with lounge beds. Includes underground parking and storage locker. Amazing location, gorgeous finishes, upscale living. - Listing provided by Paul Rushforth Real Estate Inc., Brokerage - Matt Richling represented the buyers. Fabulous 2 bedroom 2 full bathroom condo in very well run building close to all amenities and transit. This stylish has been beautifully updated with outstanding attention to detail! Lovely hardwood and exquisite moldings all compliment a generous formal living and dining rooms. Enjoy an updated and functional galley kitchen. 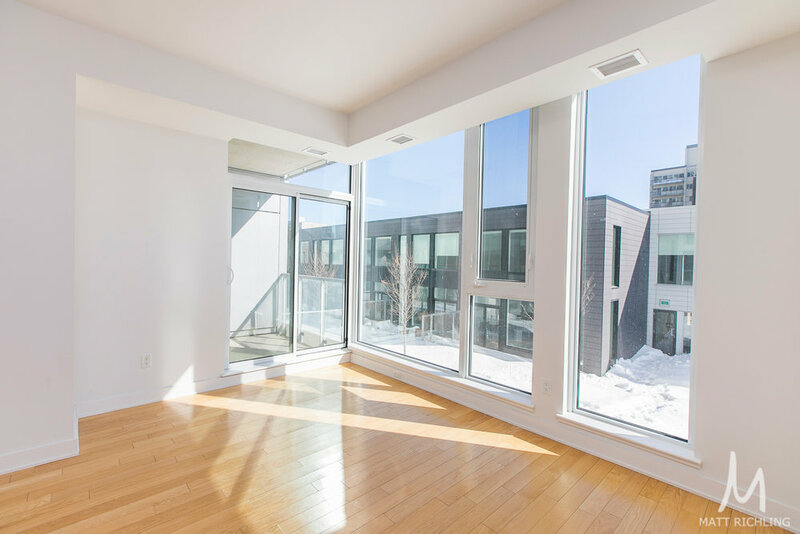 Patio door off the living room leads to the large private balcony overlooking the Ottawa river and Gatineau hills. 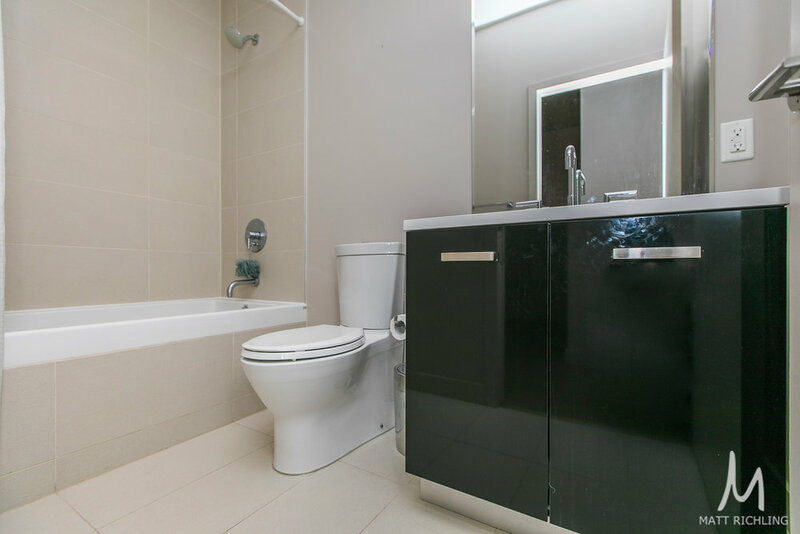 Master bedroom with 3 piece ensuite includes a modern, glass shower and updated vanity, all exquisite. 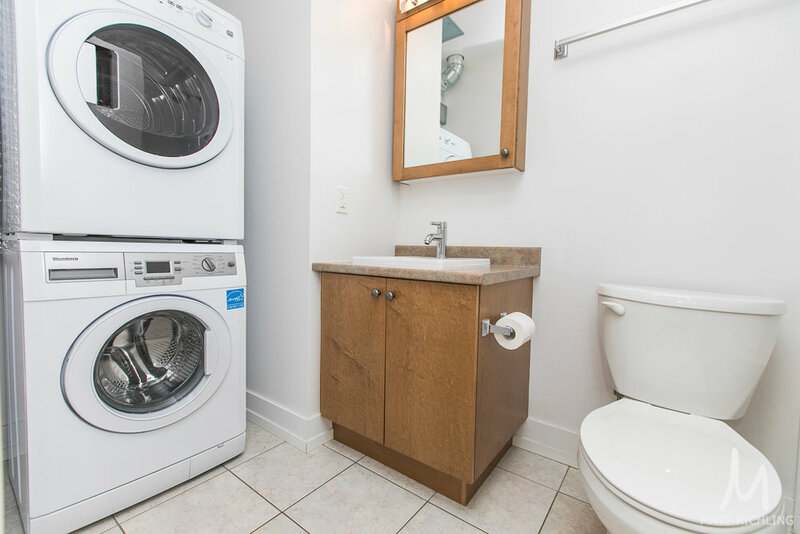 Convenient in-unit laundry. Indoor pool, sauna, exercise room, storage locker, guest suite, underground parking and locker. Outstanding value in a central, safe location in a super building. Move right in! 24 hour irrevocable on offers - Listing provided by Royal Lepage Performance Realty, Brokerage - Matt Richling represented the buyers. This one bedroom unit located right downtown inside of the Mondrian. 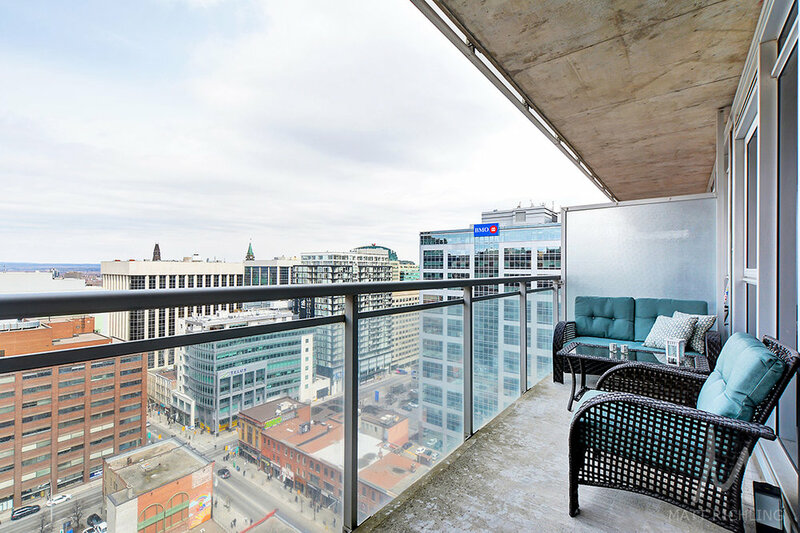 A north facing unit with stunning views of the peace tower and the sparkling lights of the city. 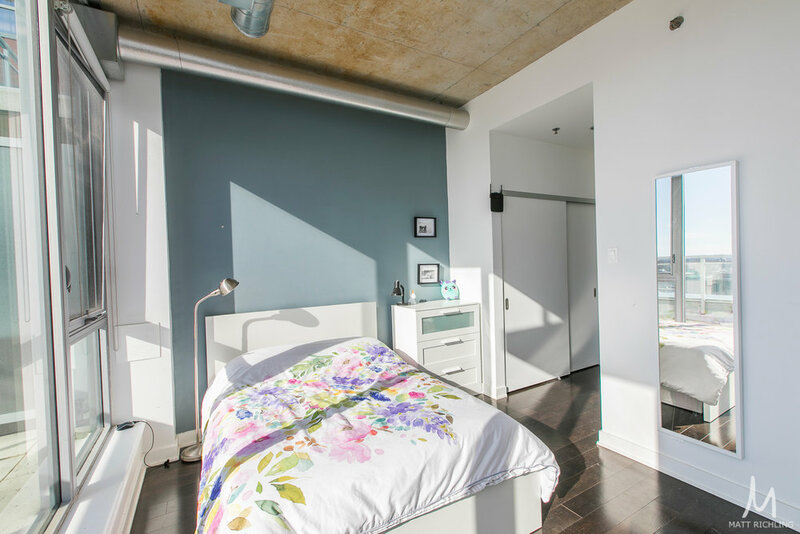 Modern finishings like exposed concrete ceilings, floor to ceiling windows, hardwood floors, stainless appliances, granite counters, in-unit laundry, and extra large full unit width balcony. One large indoor storage locker is included. 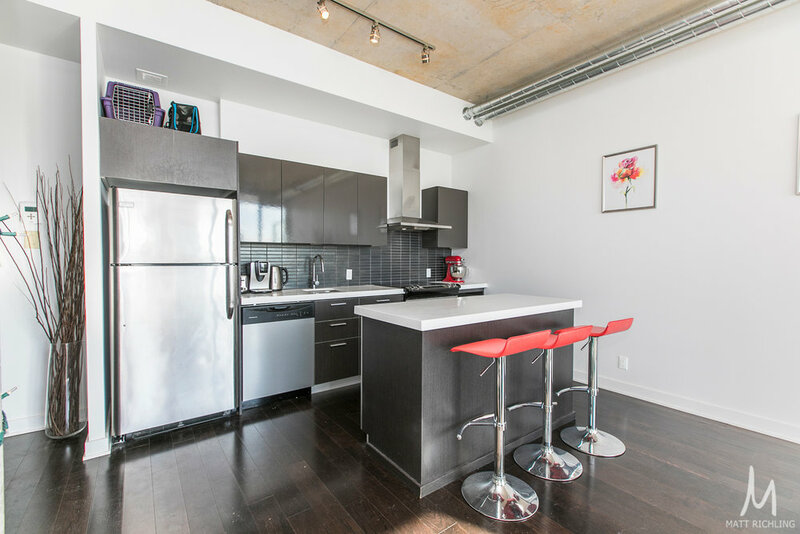 Located at the corner of Bank Street and Laurier avenue this loft is only steps to work, play, and all of the shopping and restaurants that you can handle. Keep in mind that you might never need to drive again while living at such a central location. The building features a full-time concierge, security, three high-speed elevators, car wash area, and large sixth-floor amenities area. Enjoy a workout in the gym, followed by a dip in the outdoor rooftop pool, and then relax in the sun inside the poolside cabanas. 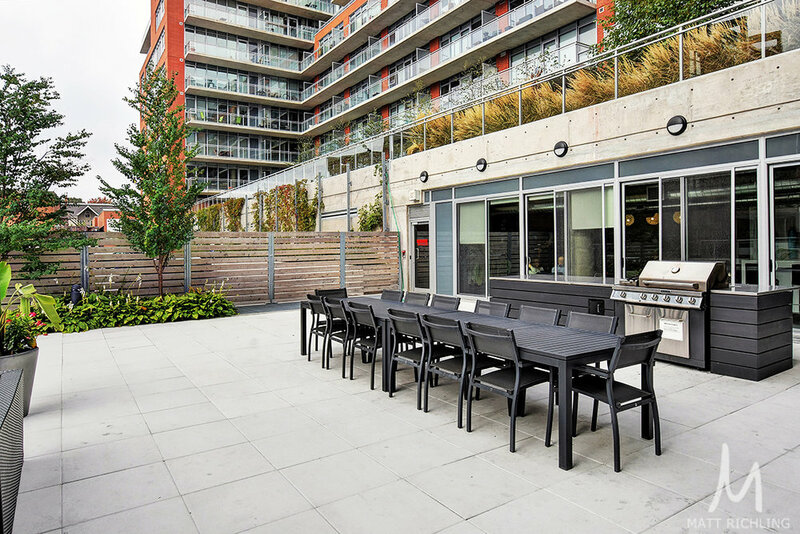 The outdoor amenities also features a wrap-around terrace, large gas barbecue, and large outdoor dining area. 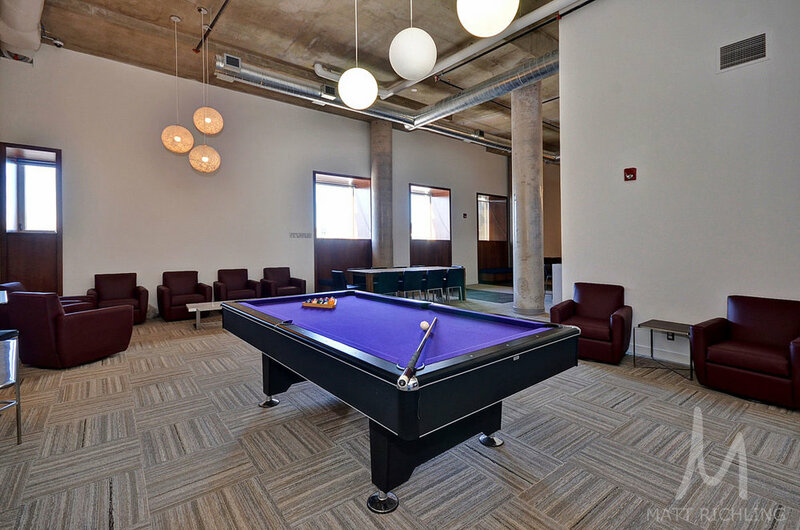 Use the party room as an extension of your condo, which is recently renovated and features a billiards table, cable tv with couches, dining space, and wet bar, or reserve it for a private party. The building features Fibrestream internet. Currently listed on the Multiple Listing Service for $274,900 with a monthly condo fee of $319.58. To request a private showing, or to get more information, contact Matt Richling (salesperson at RE/MAX Hallmark Realty Group Ltd.), by email Matt@MattRichling.com or the contact form below.